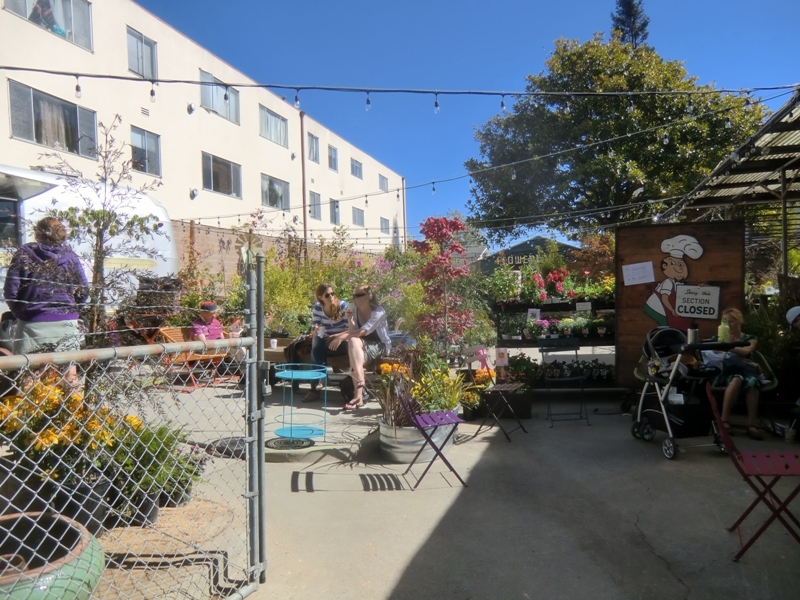 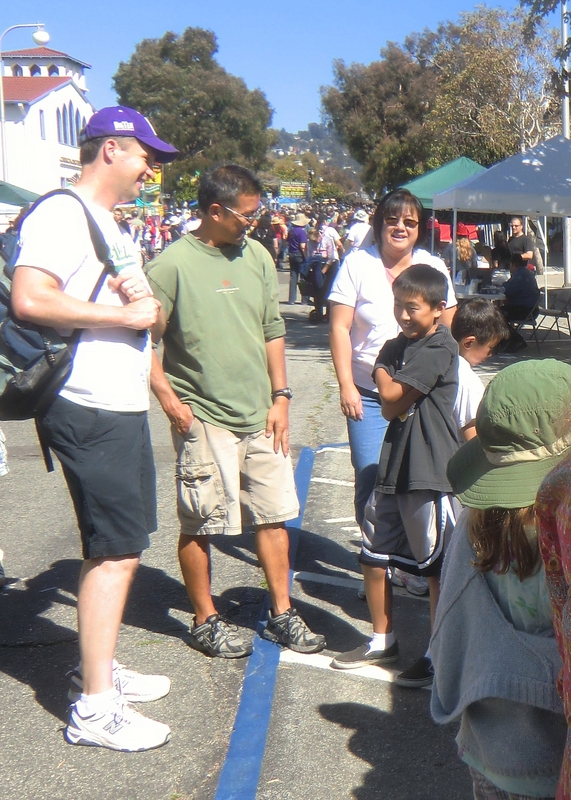 Nothing could be finer than strolling down Solano with your friends and family! 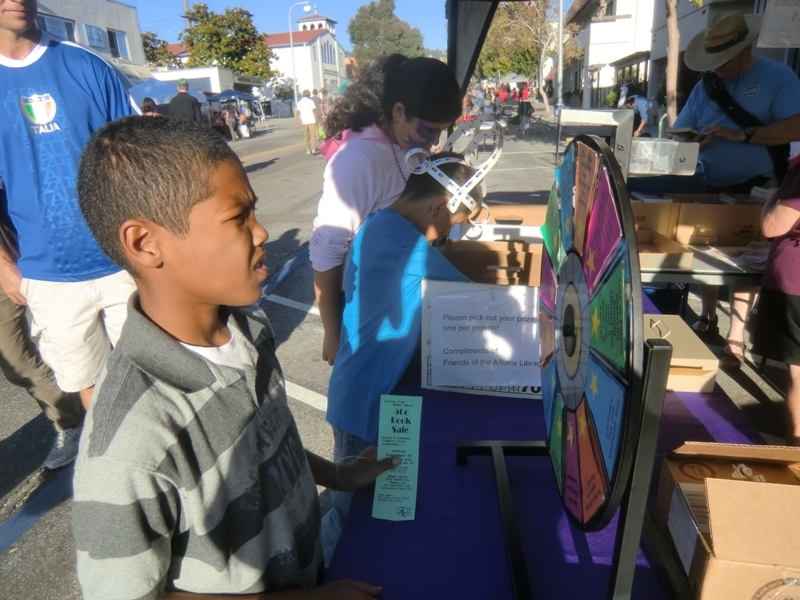 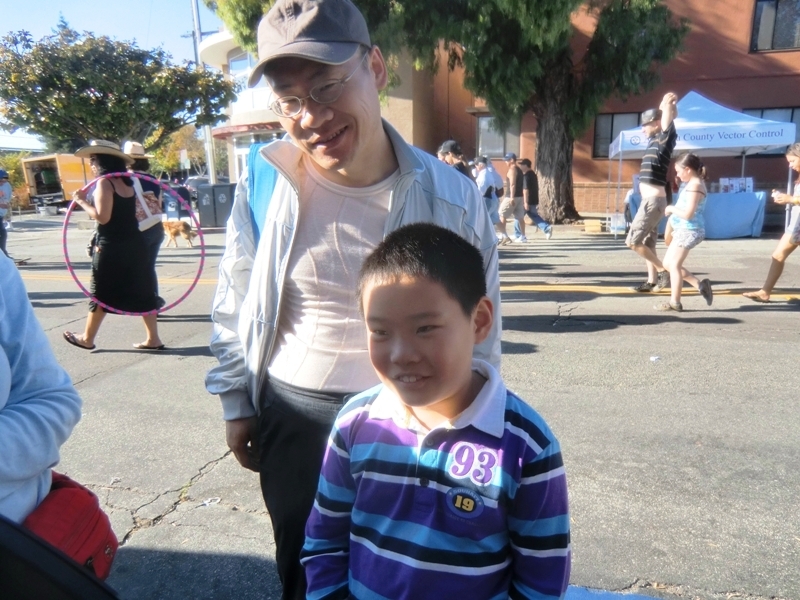 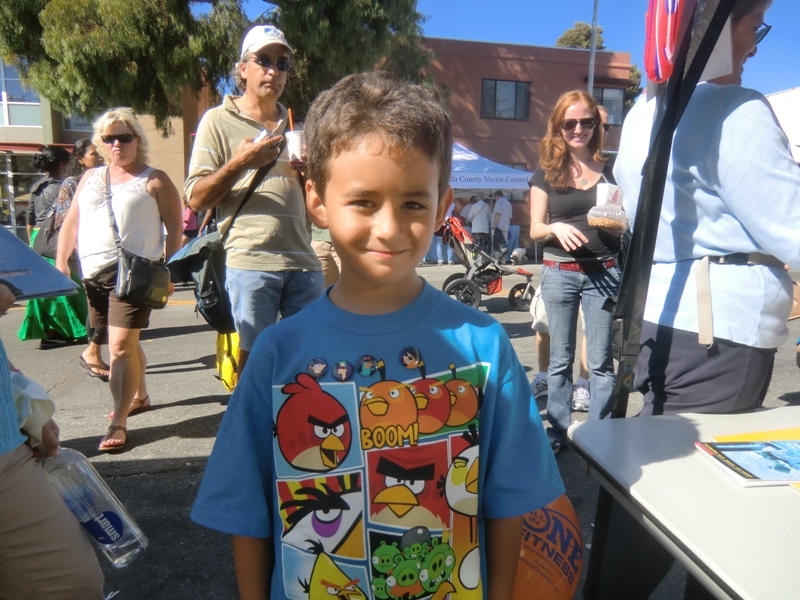 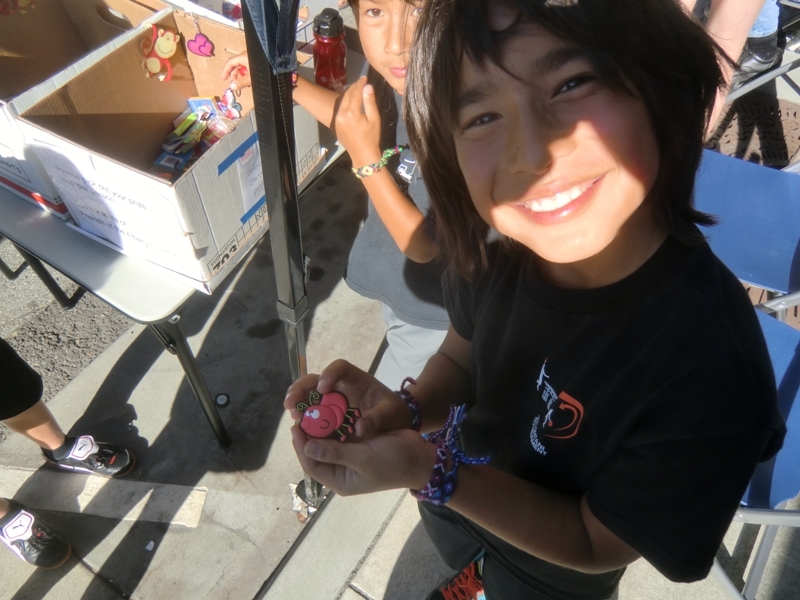 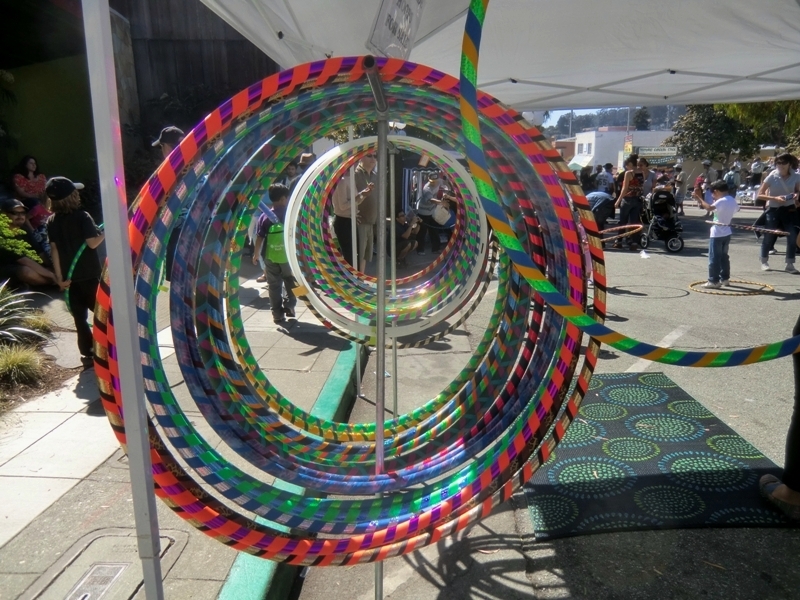 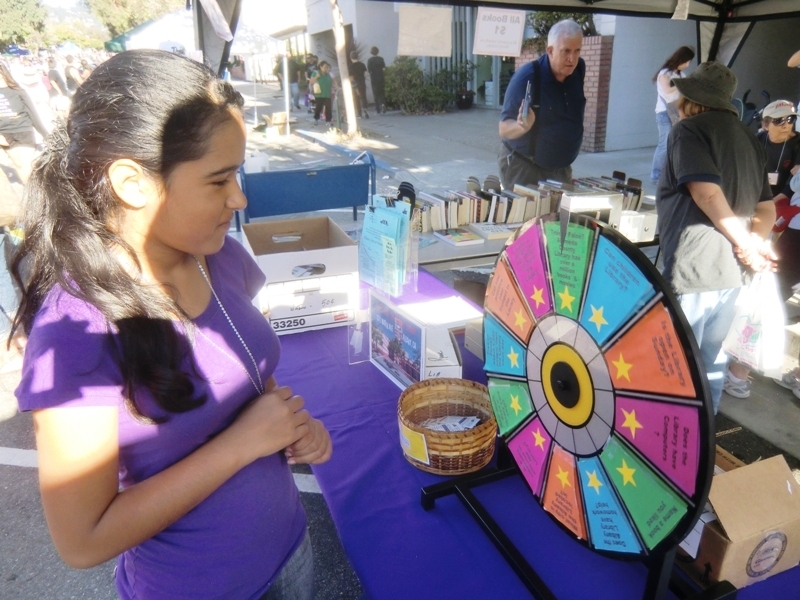 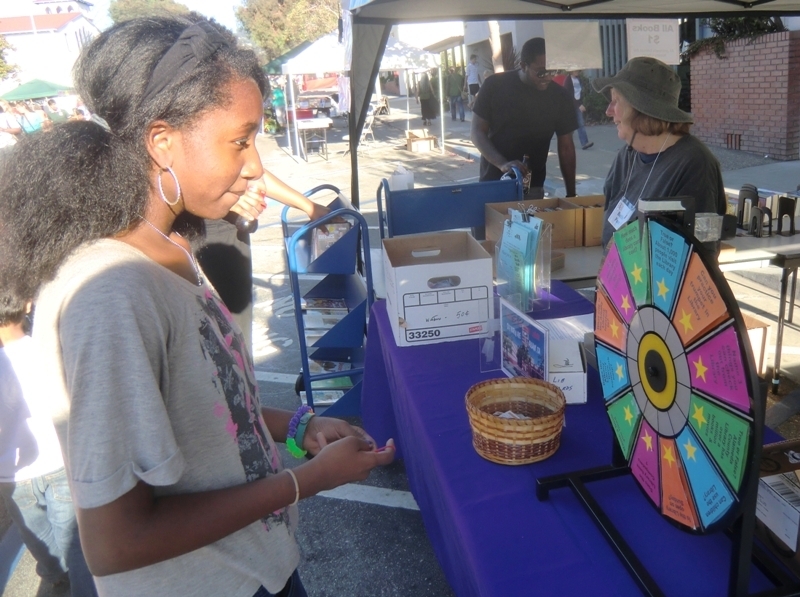 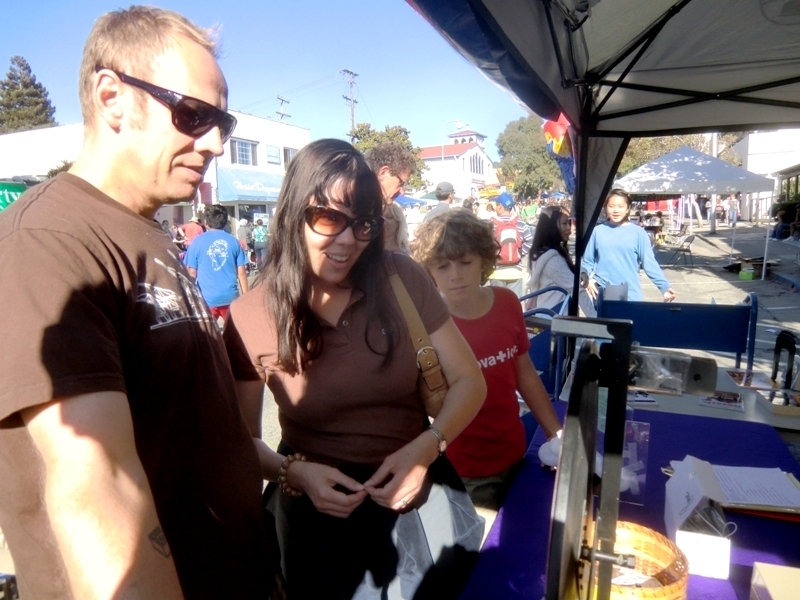 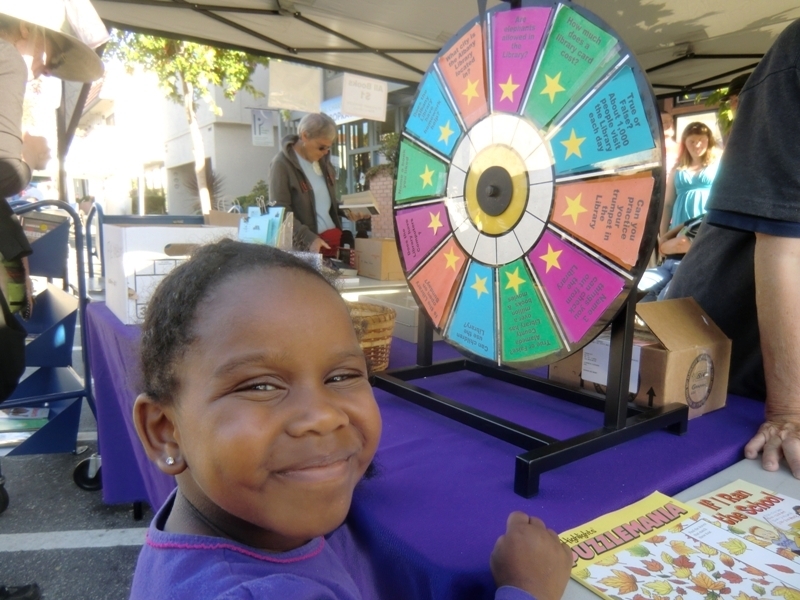 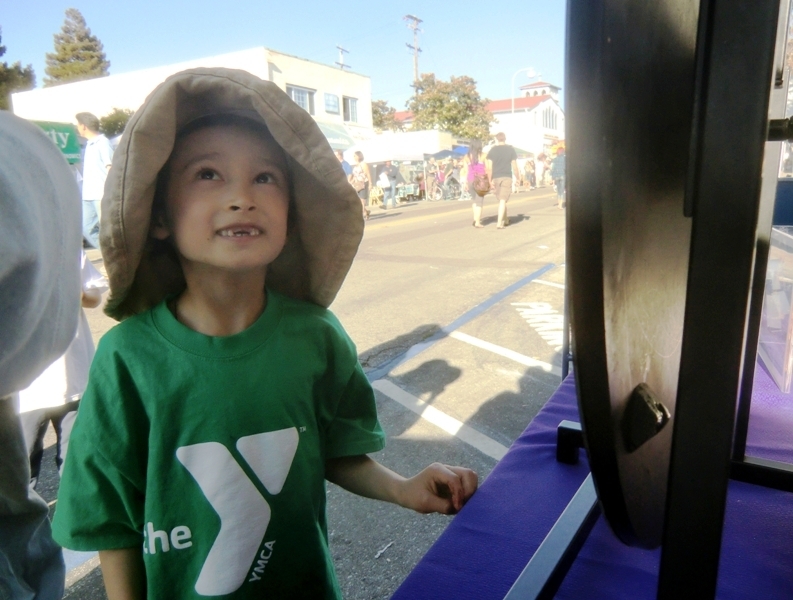 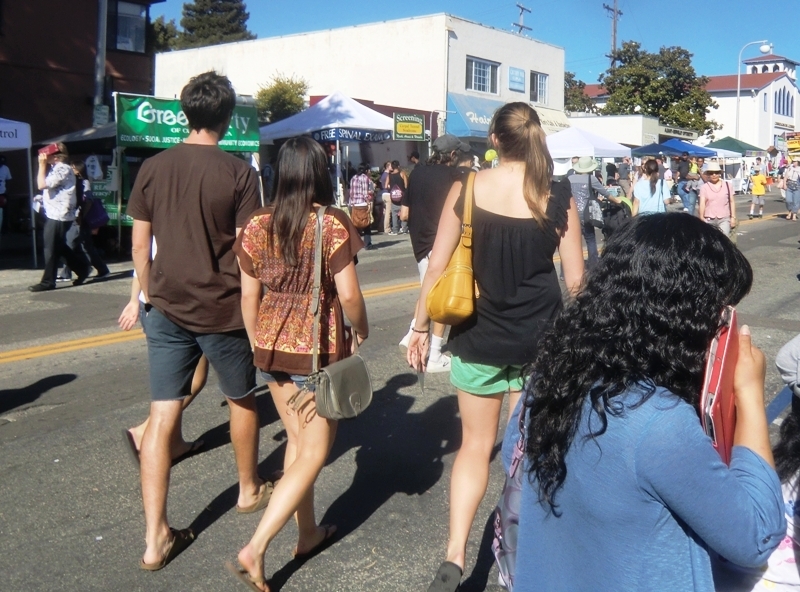 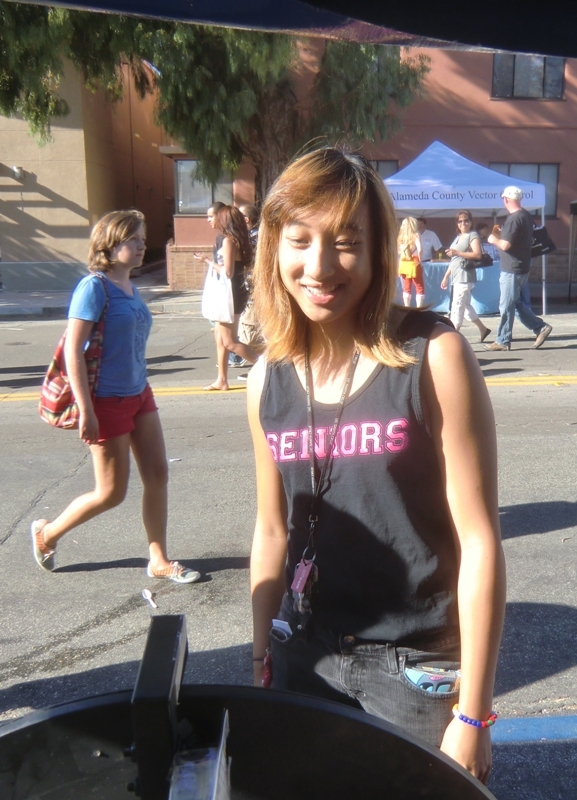 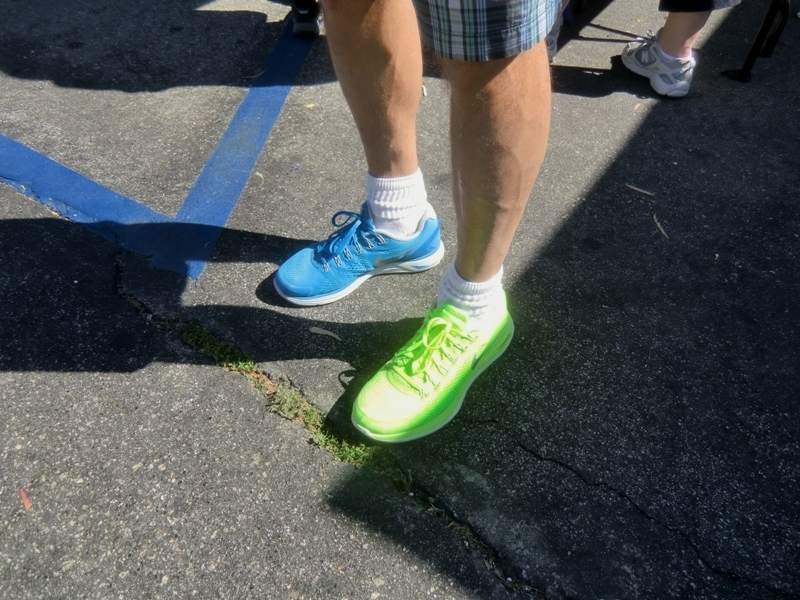 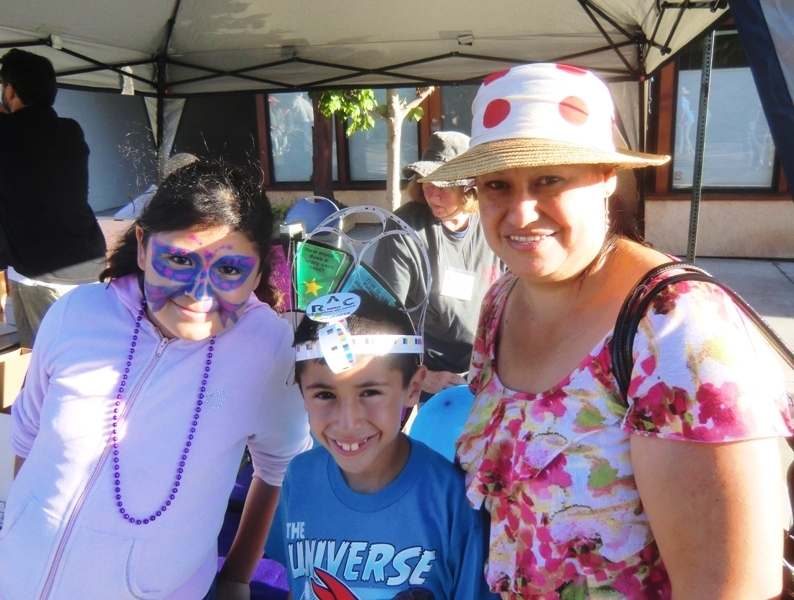 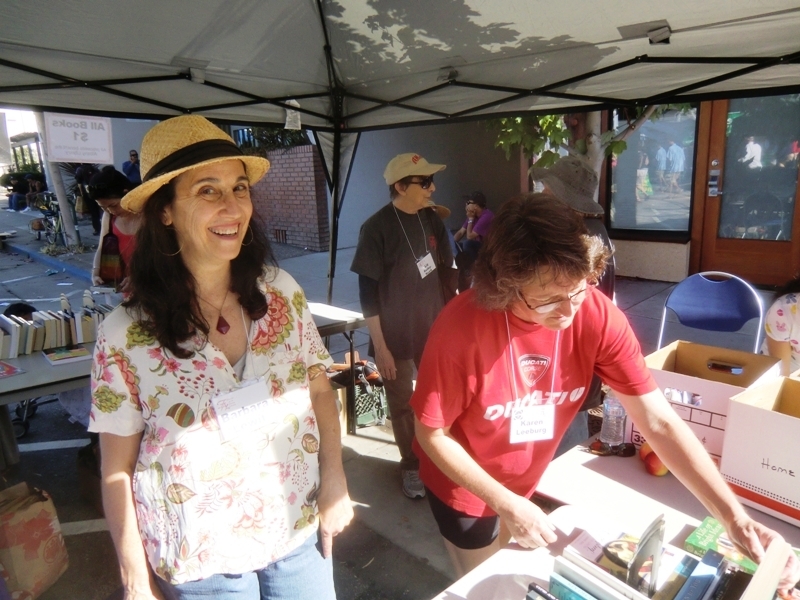 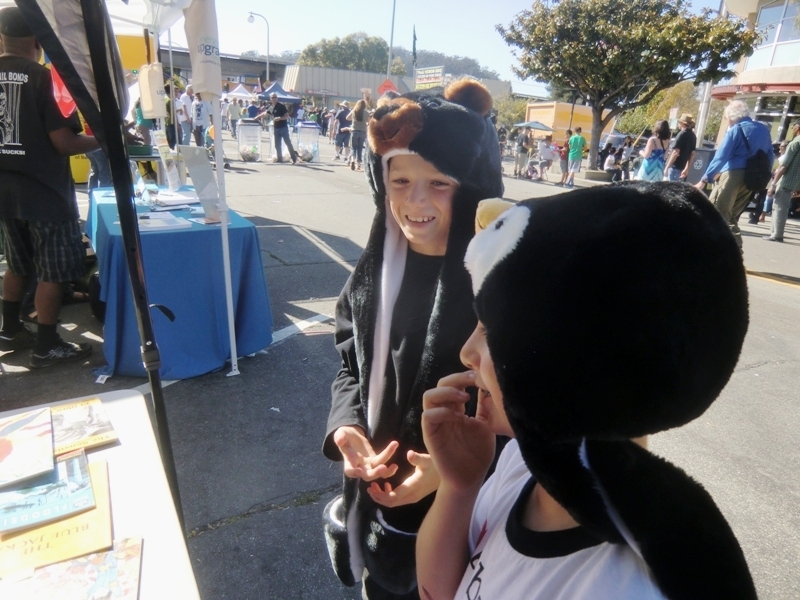 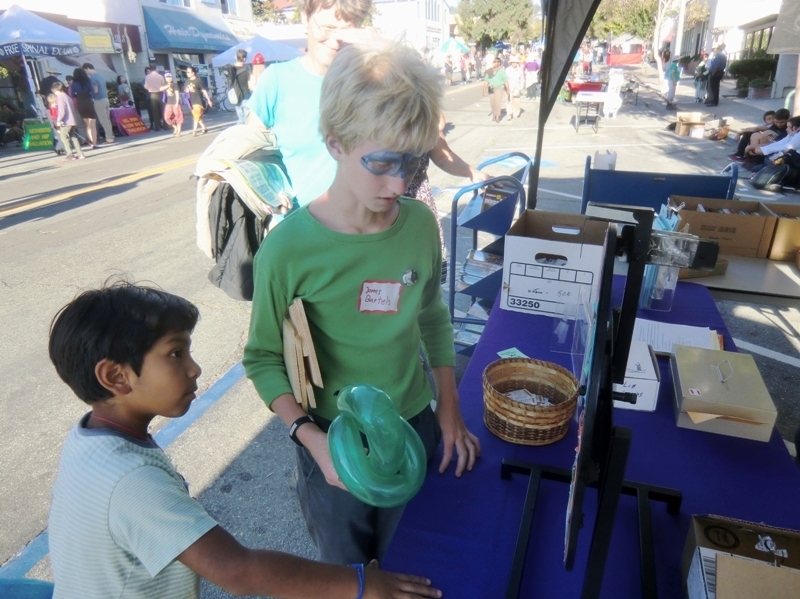 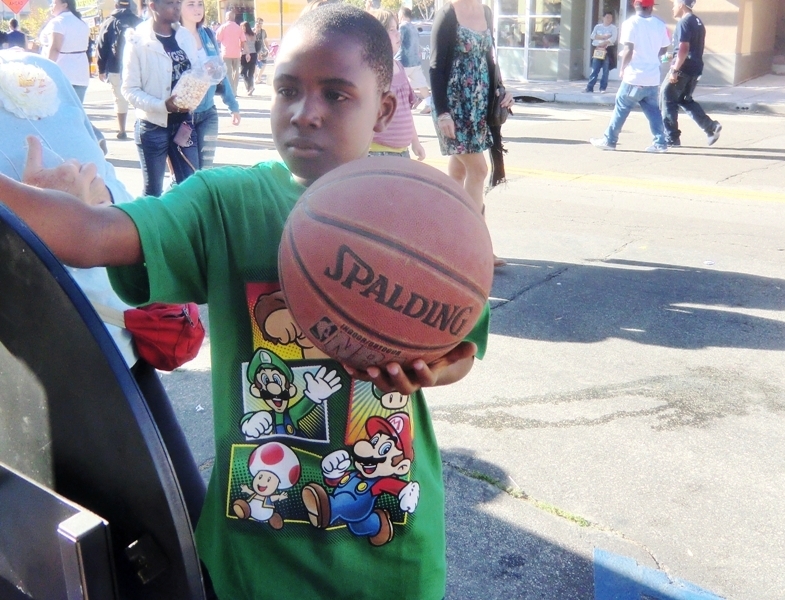 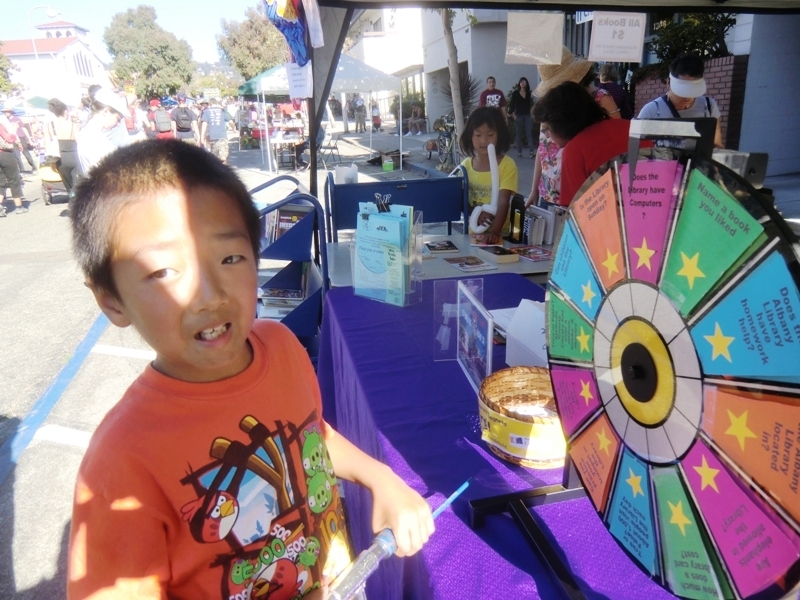 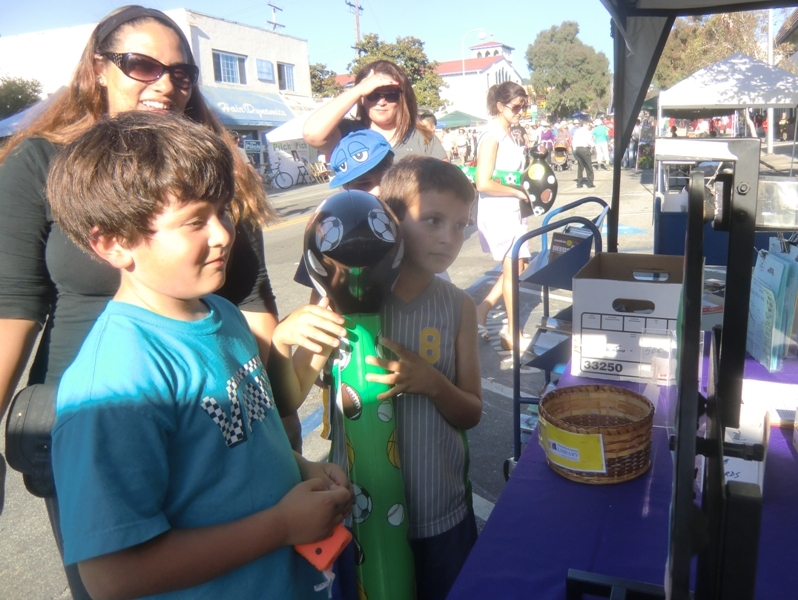 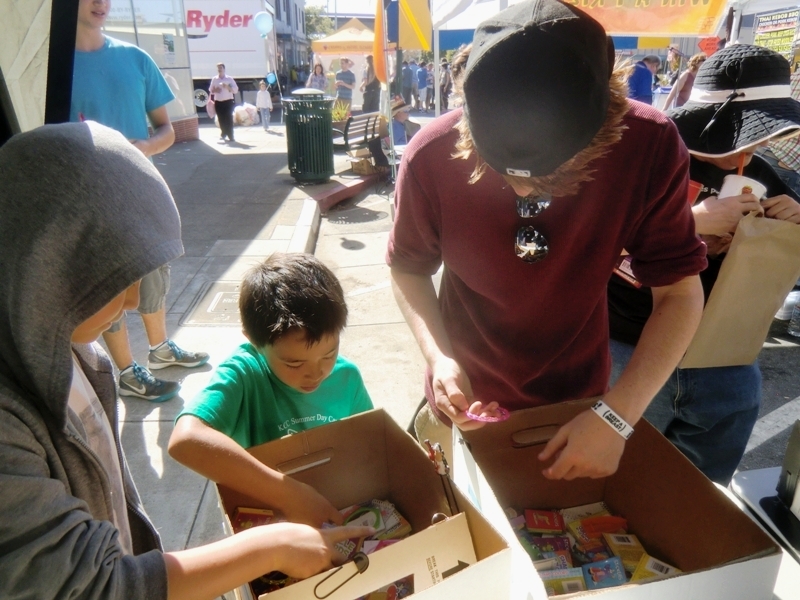 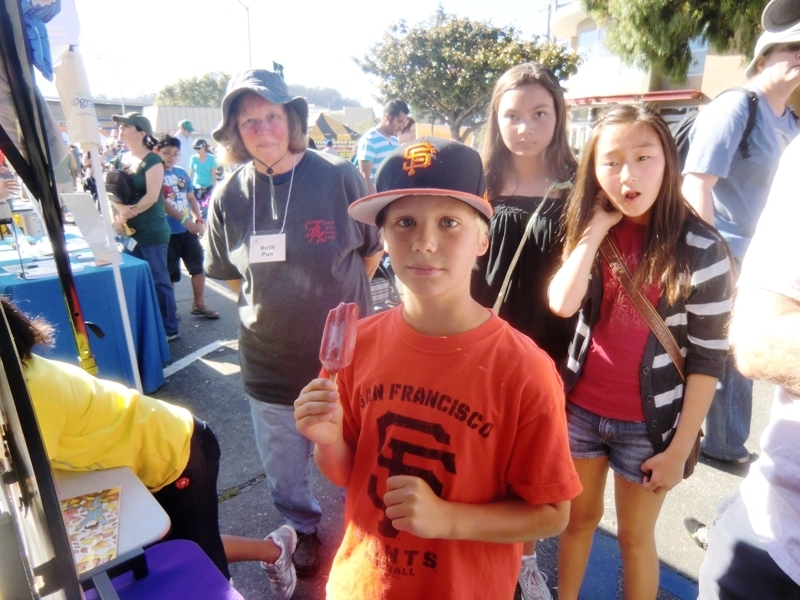 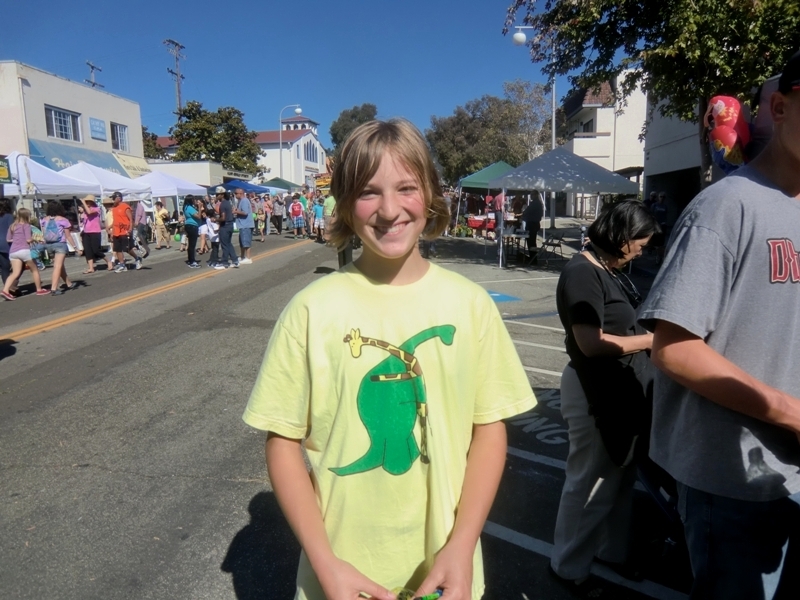 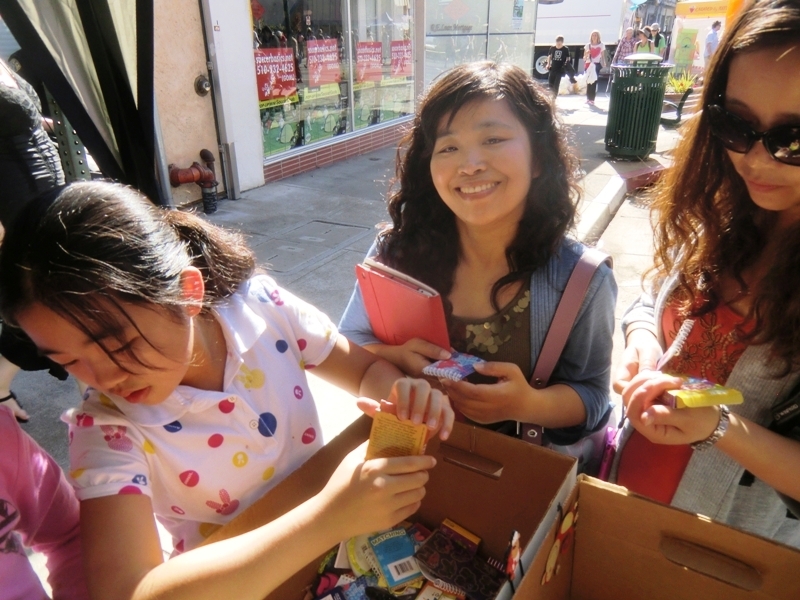 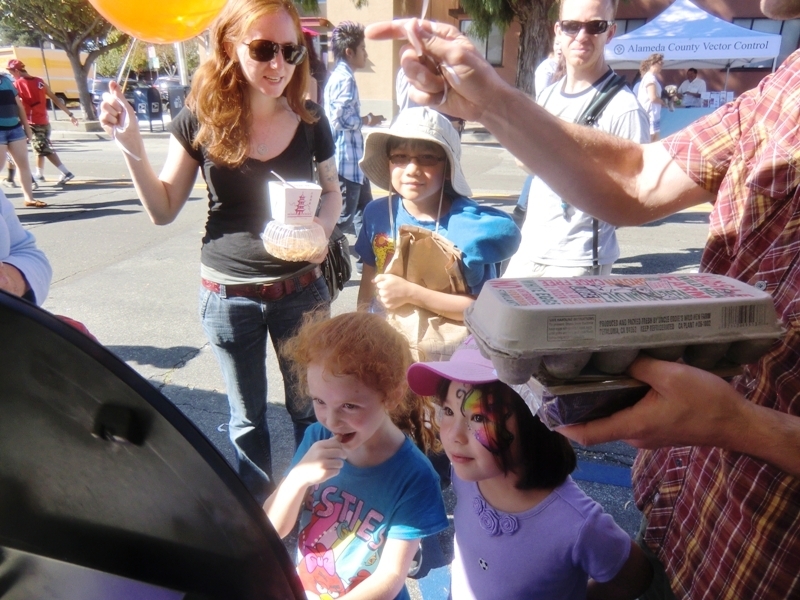 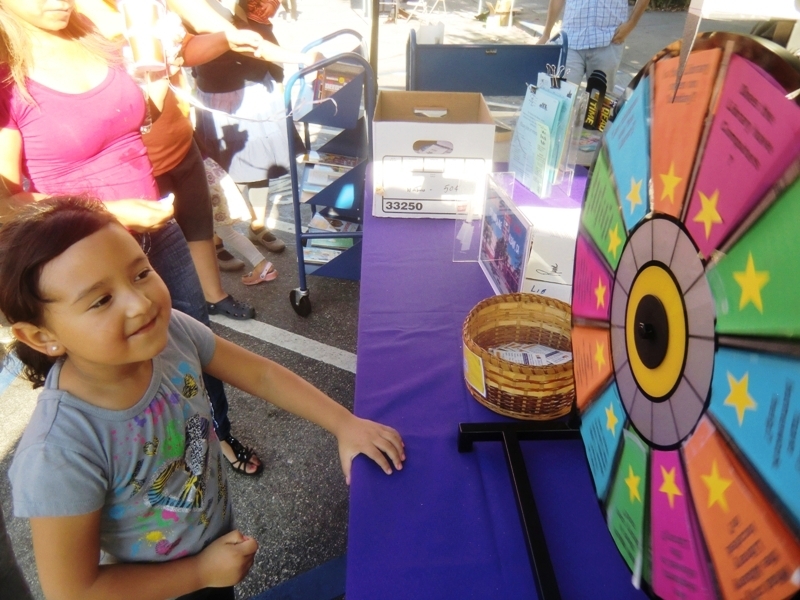 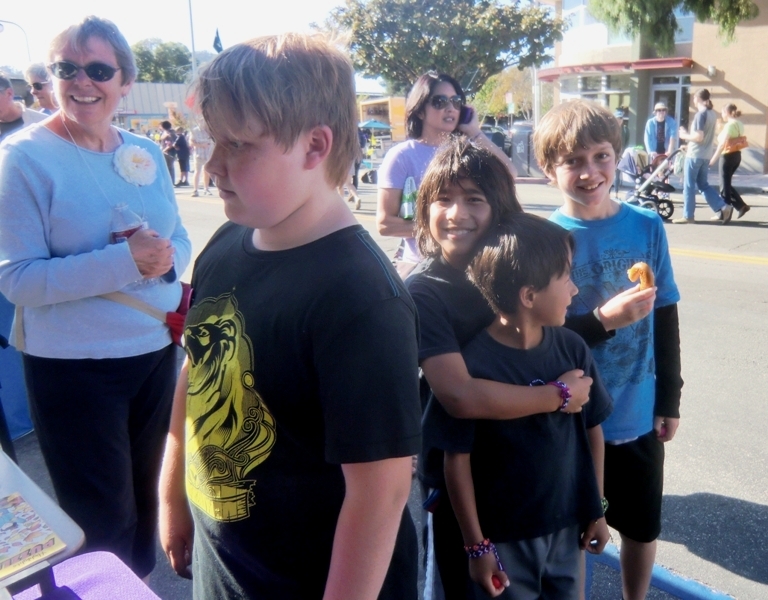 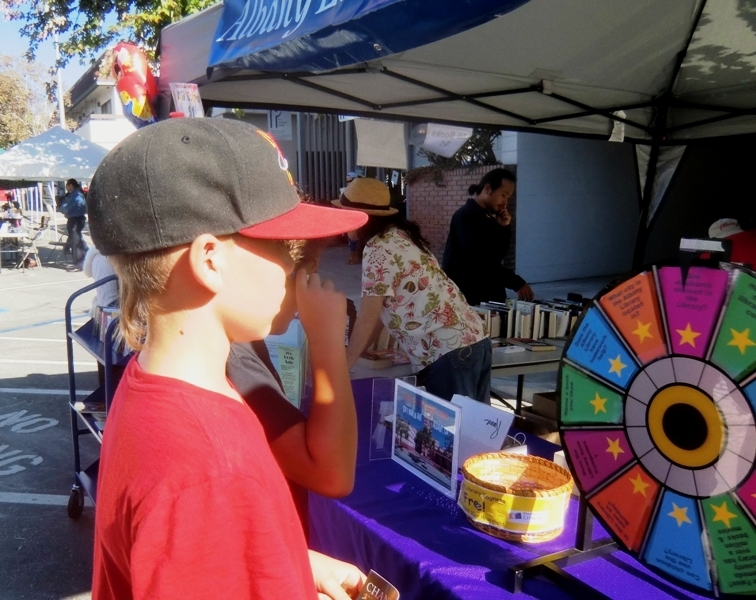 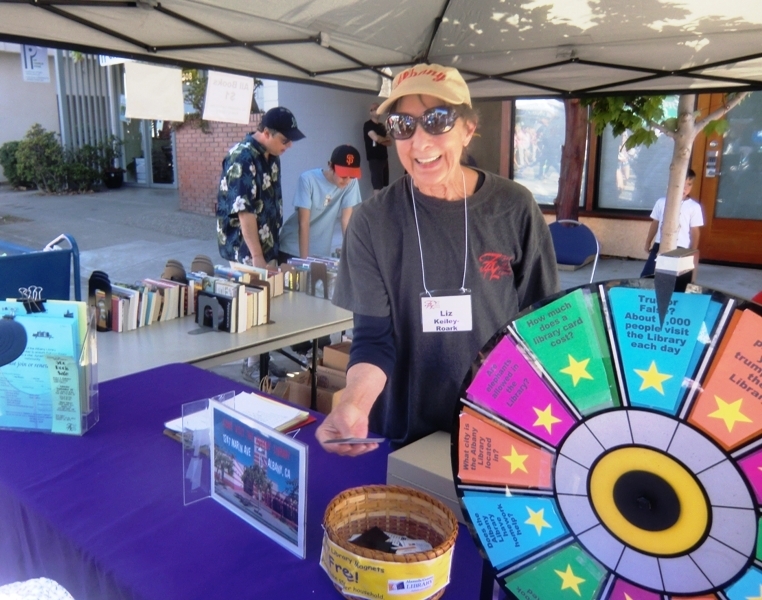 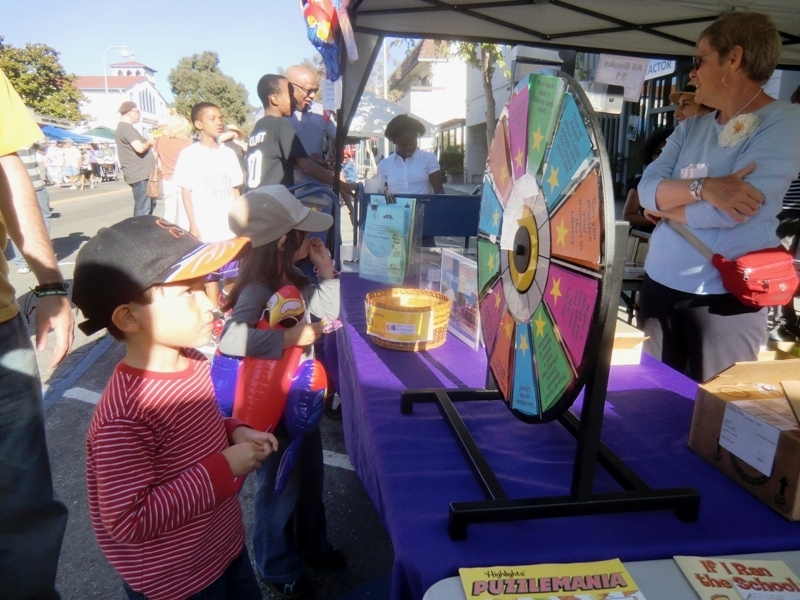 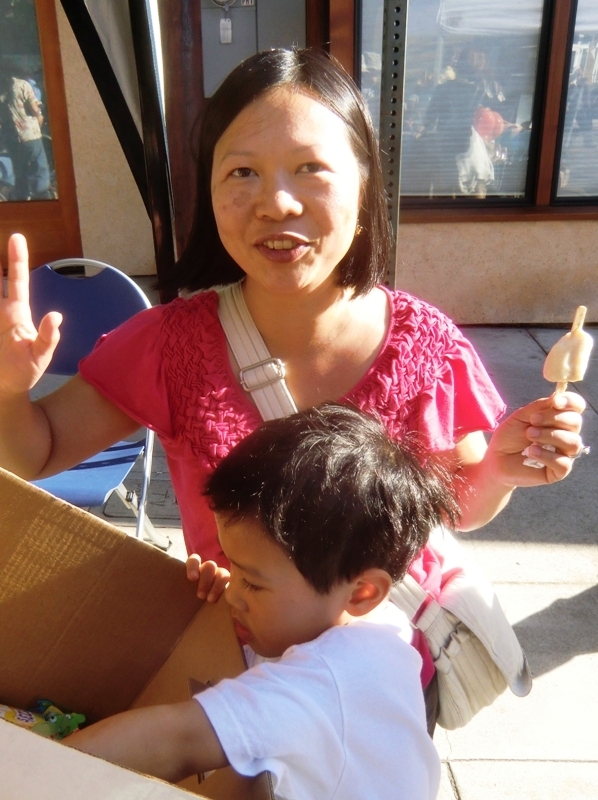 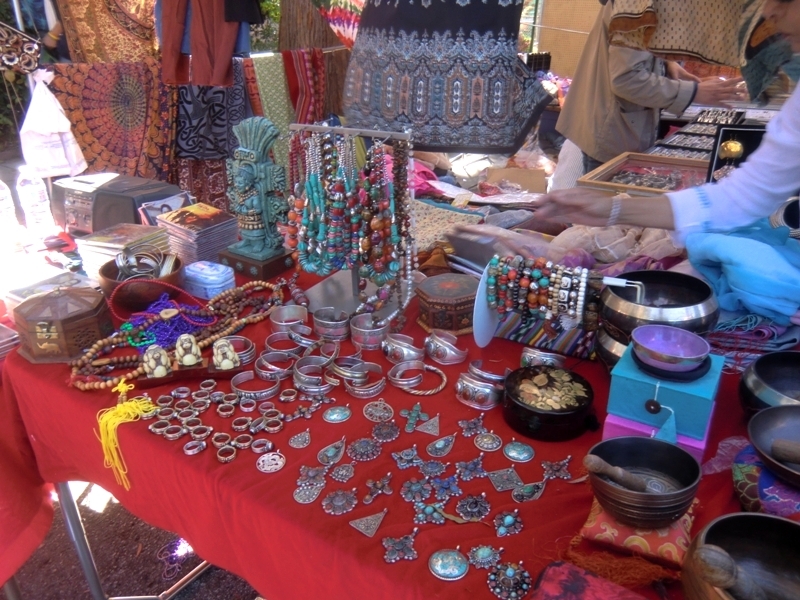 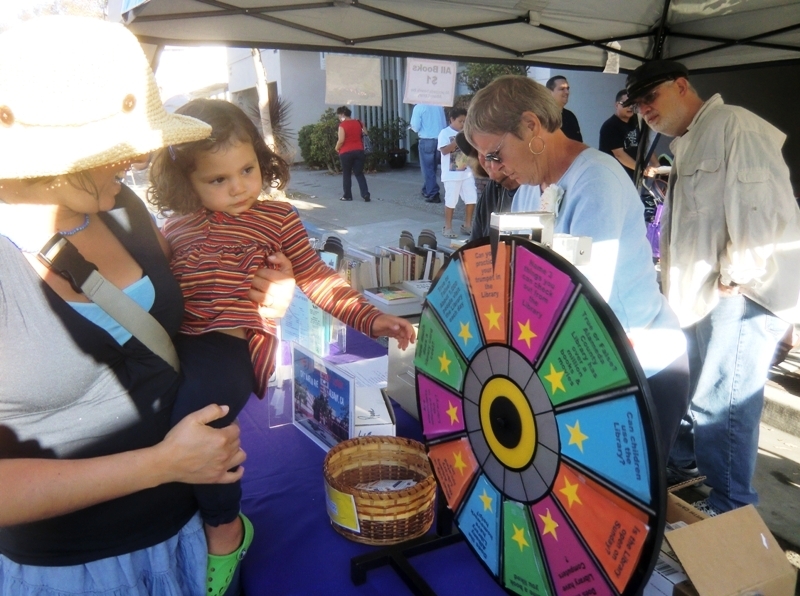 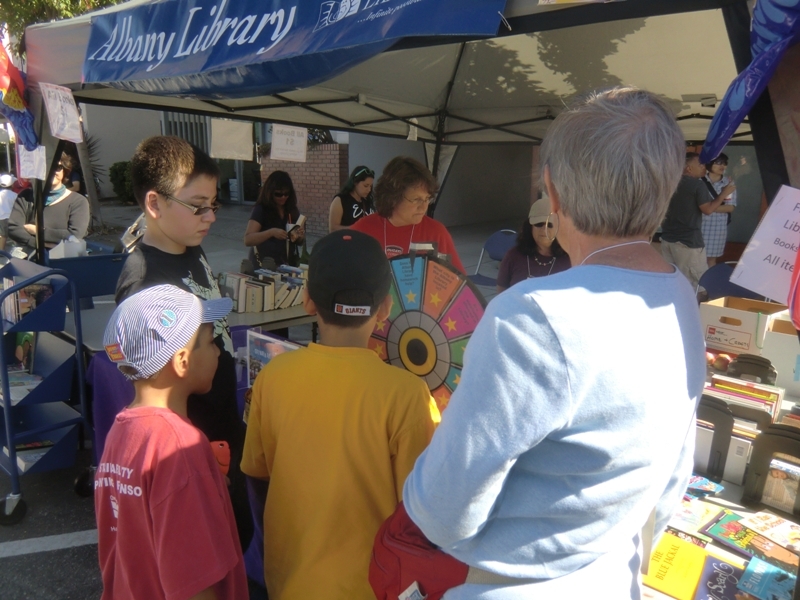 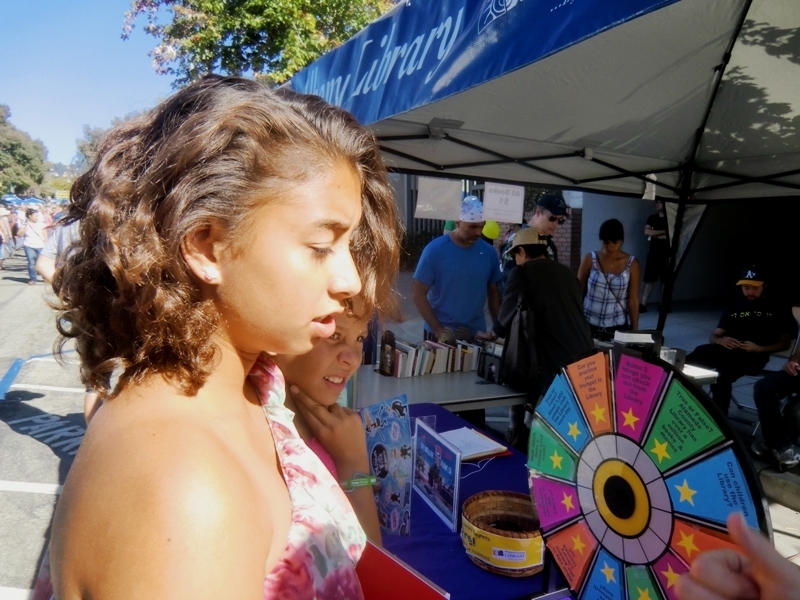 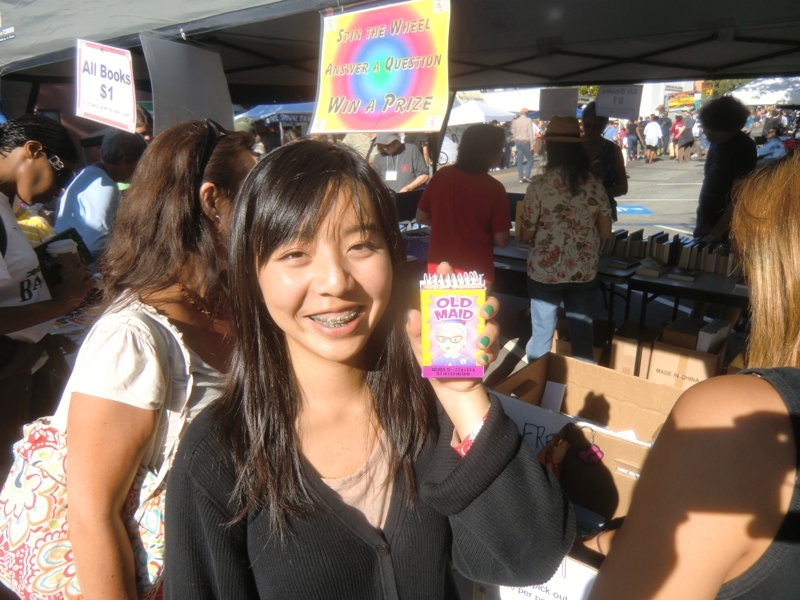 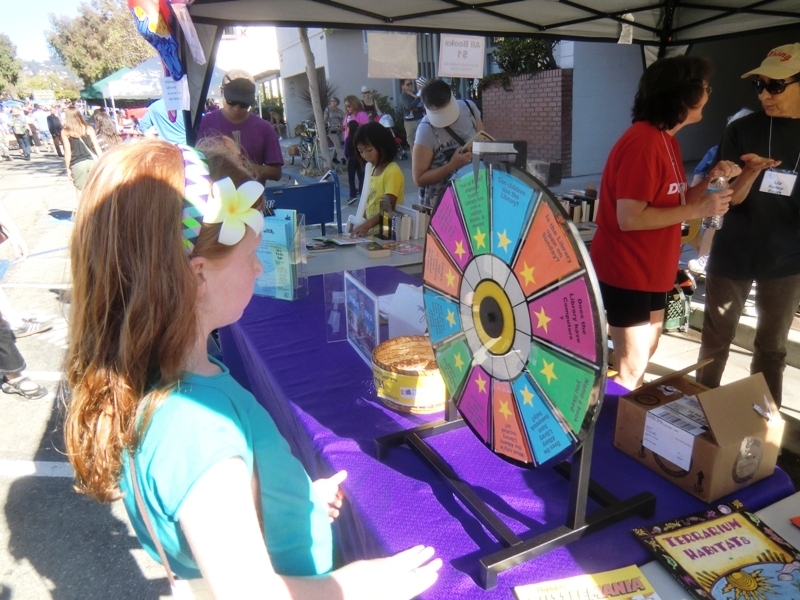 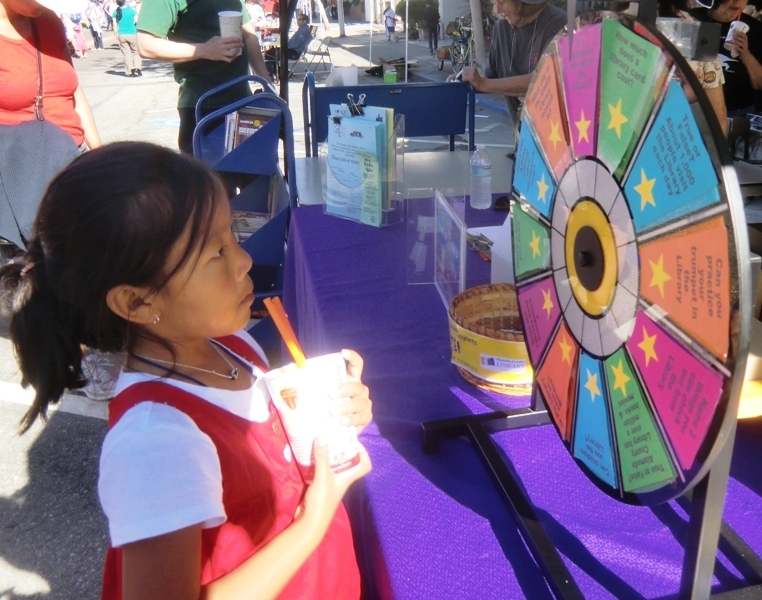 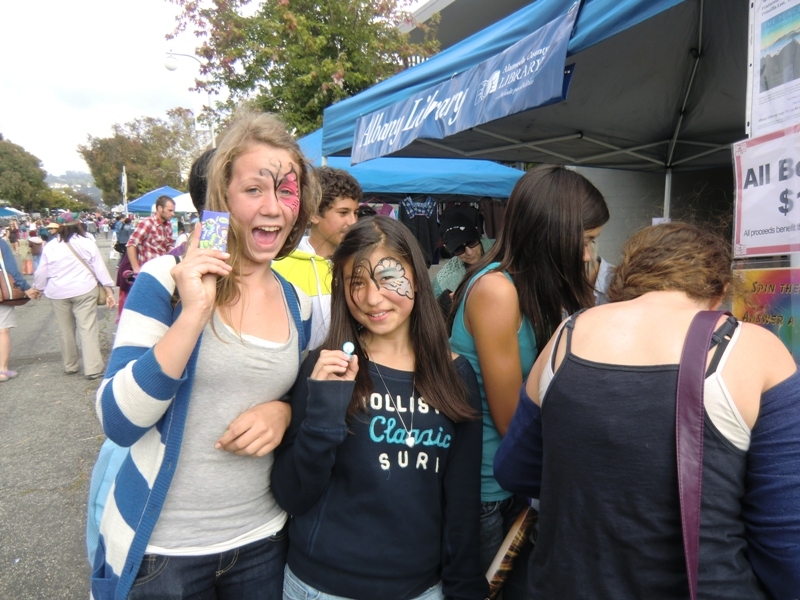 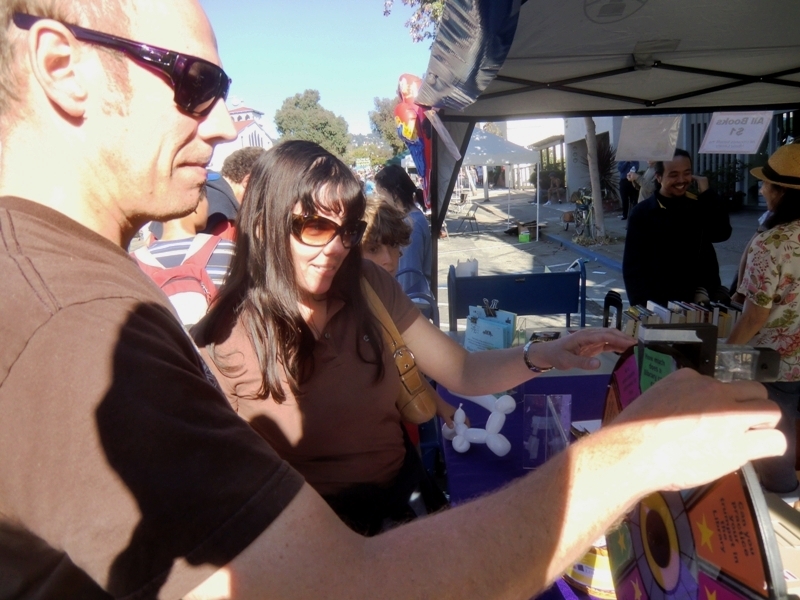 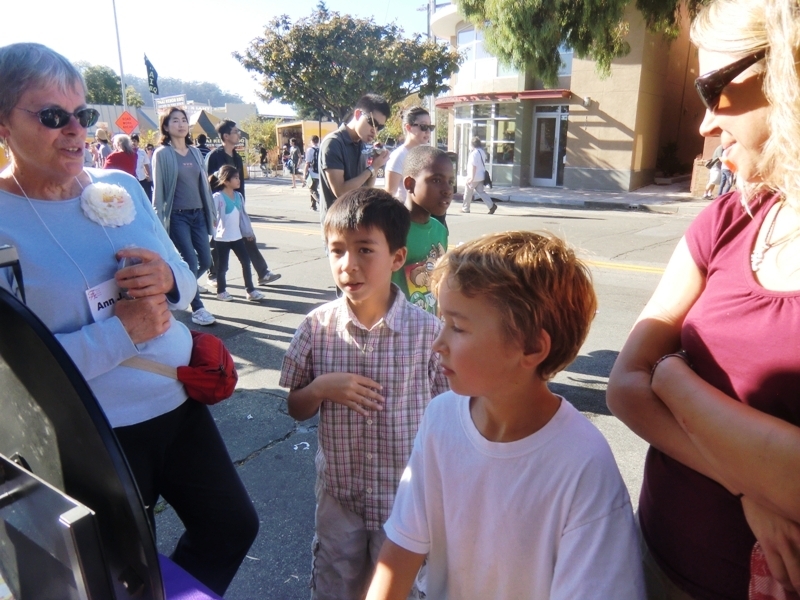 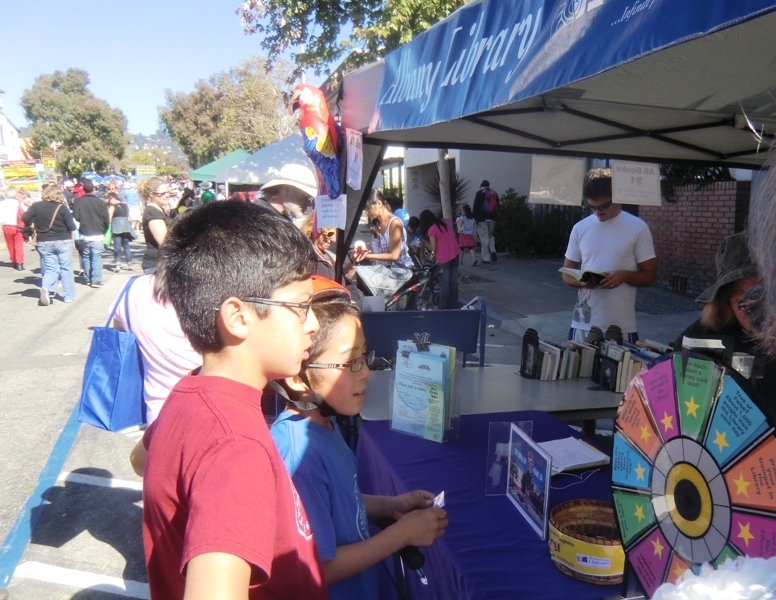 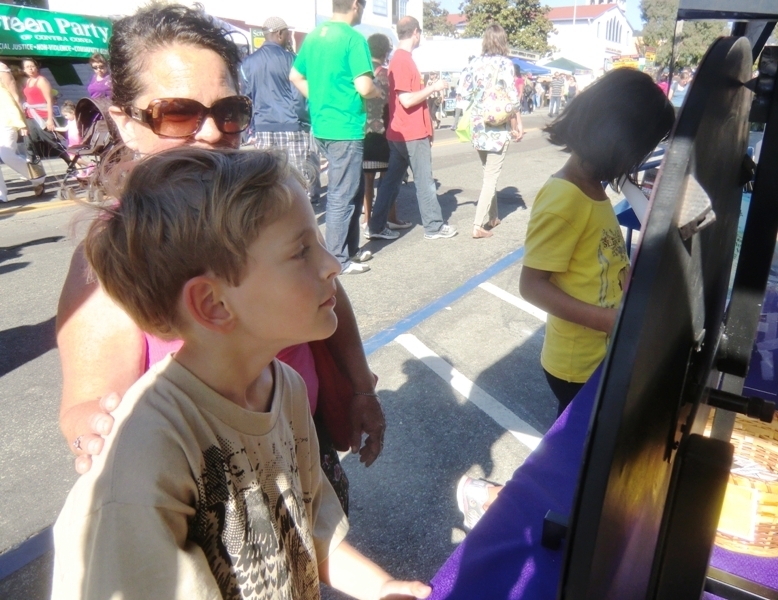 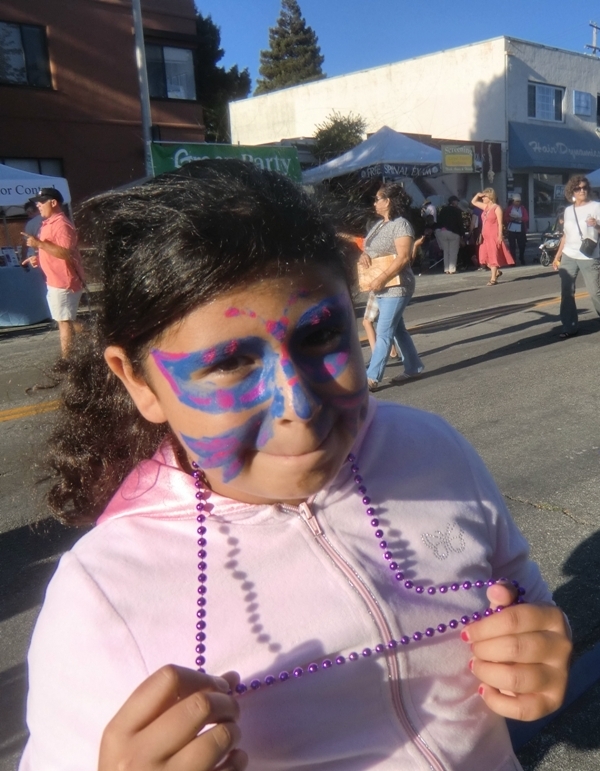 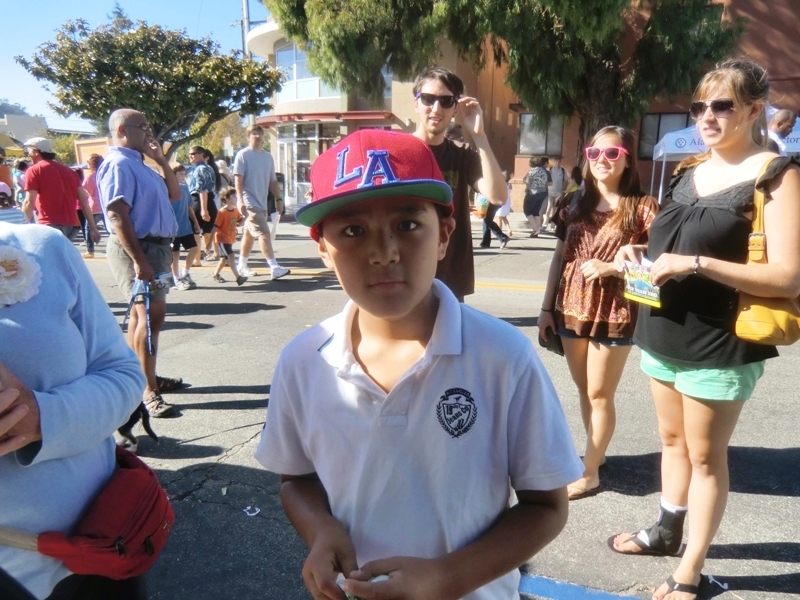 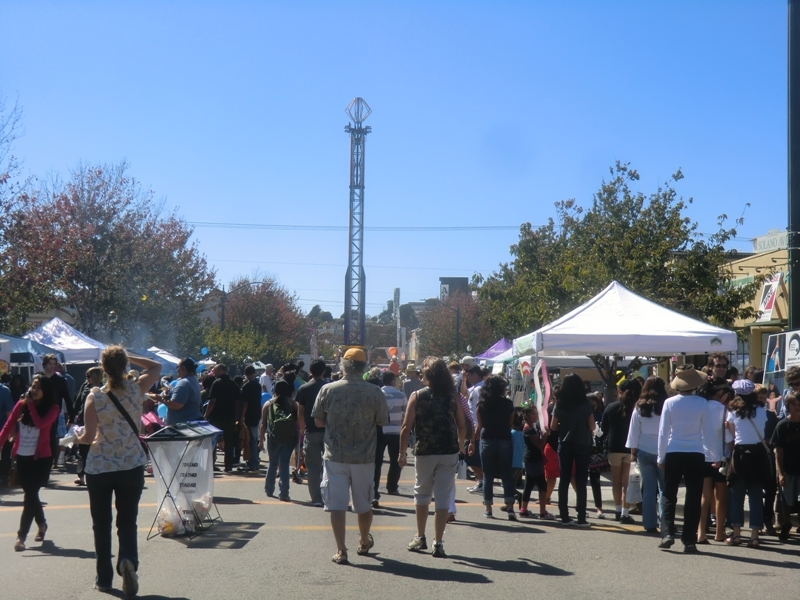 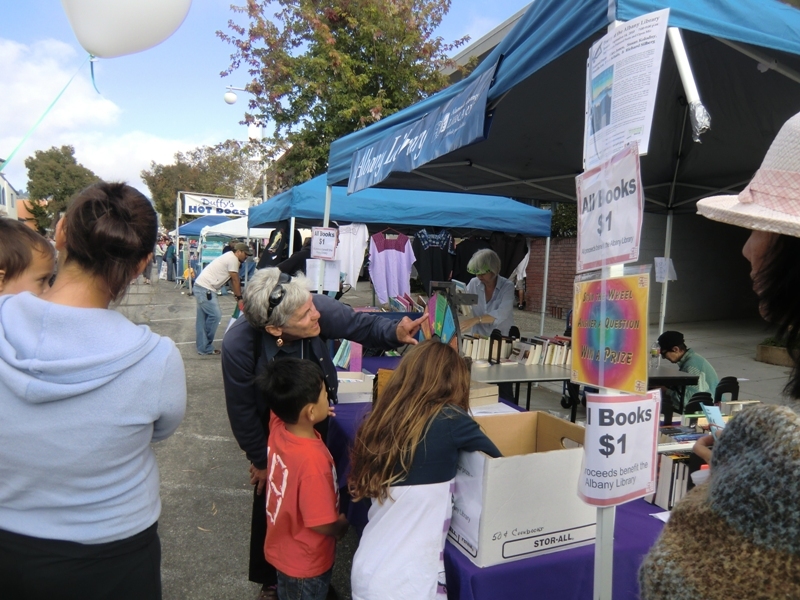 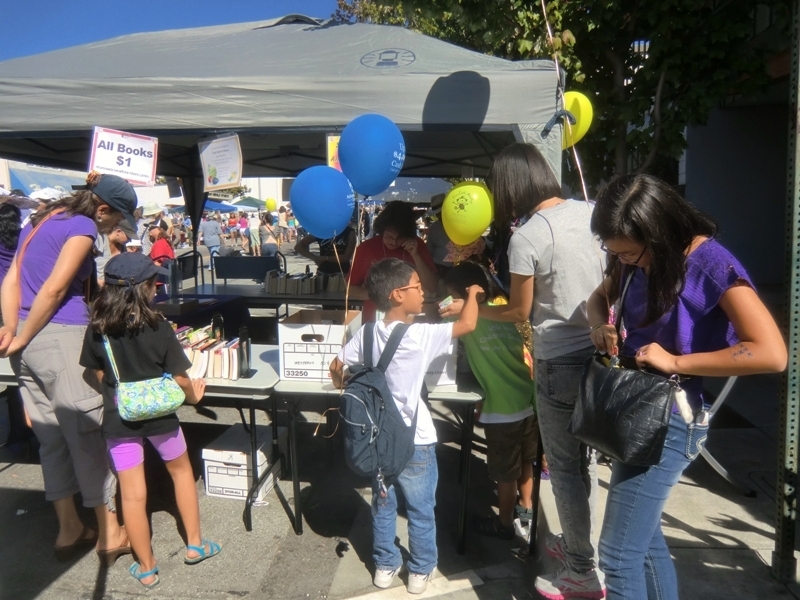 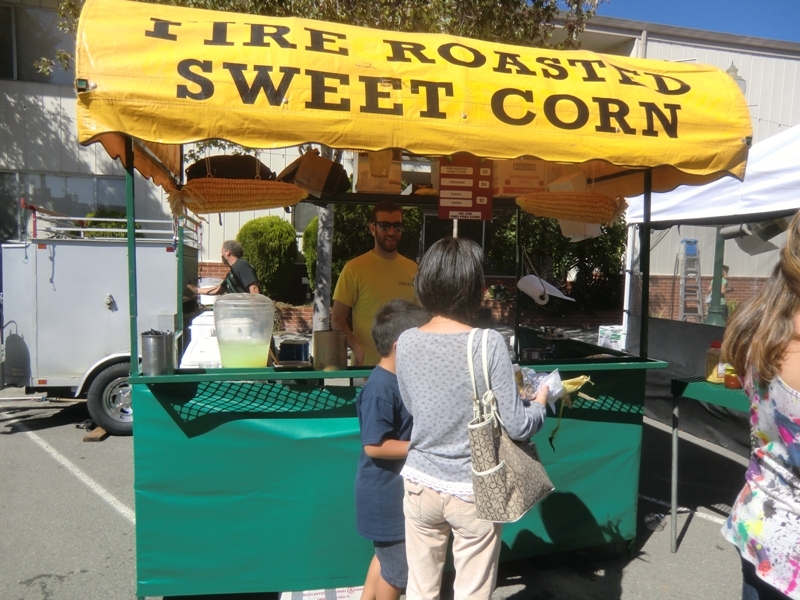 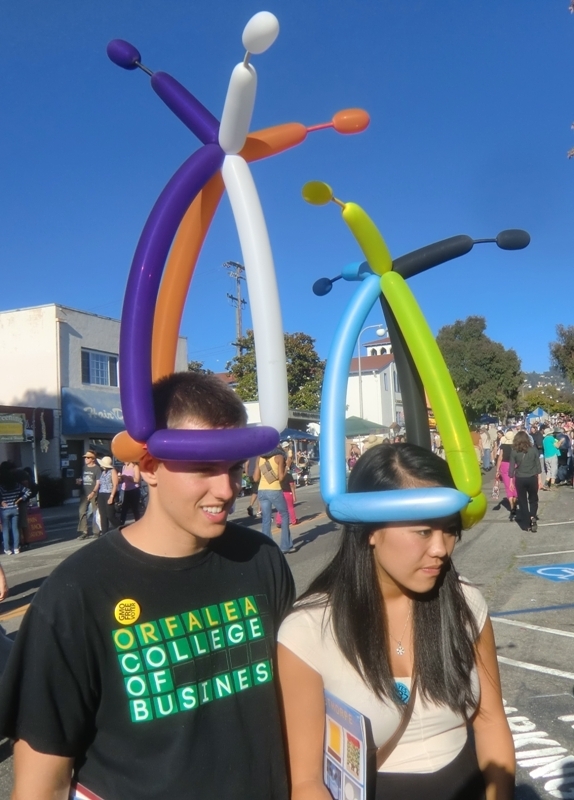 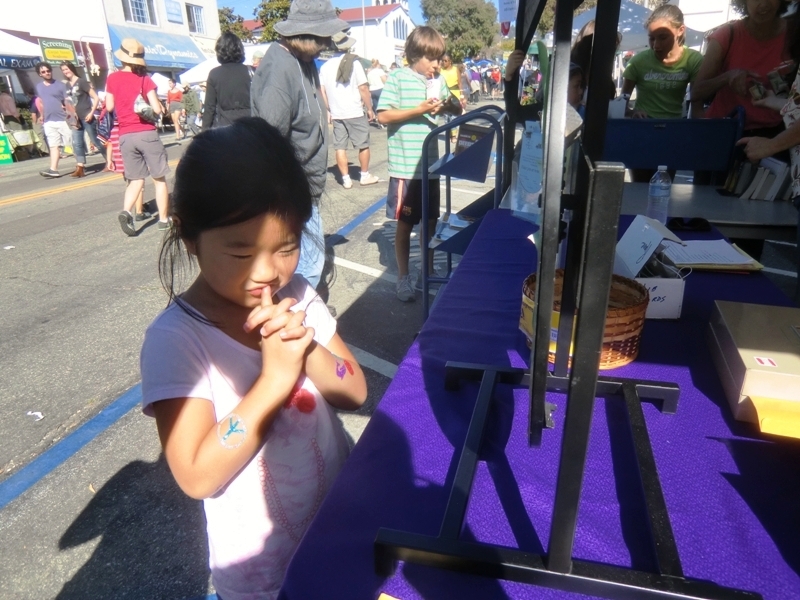 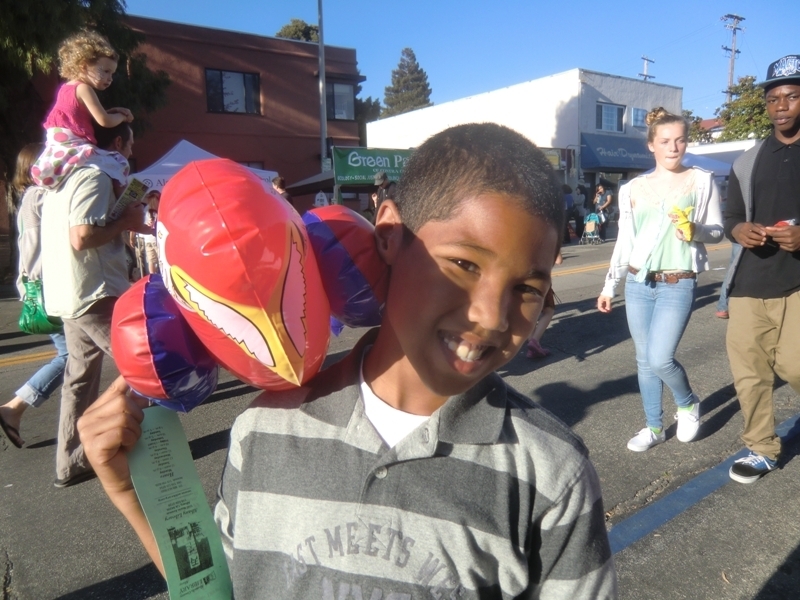 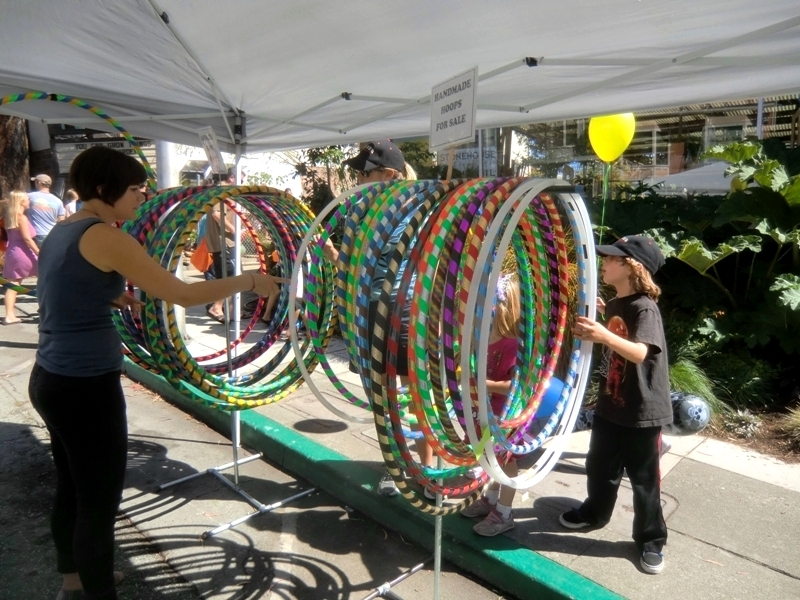 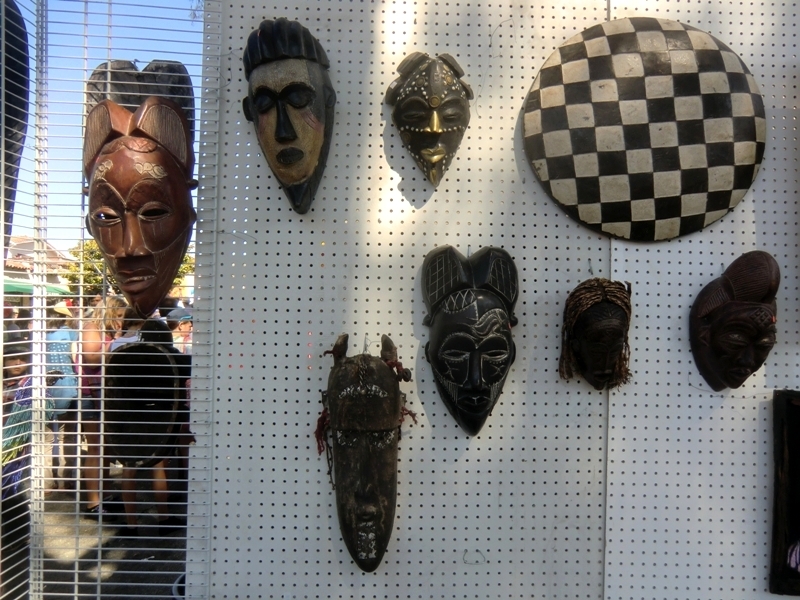 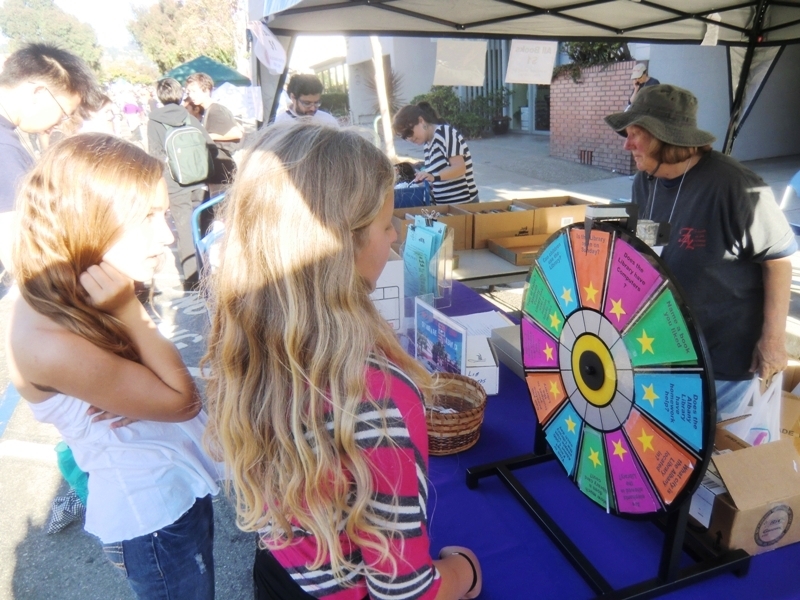 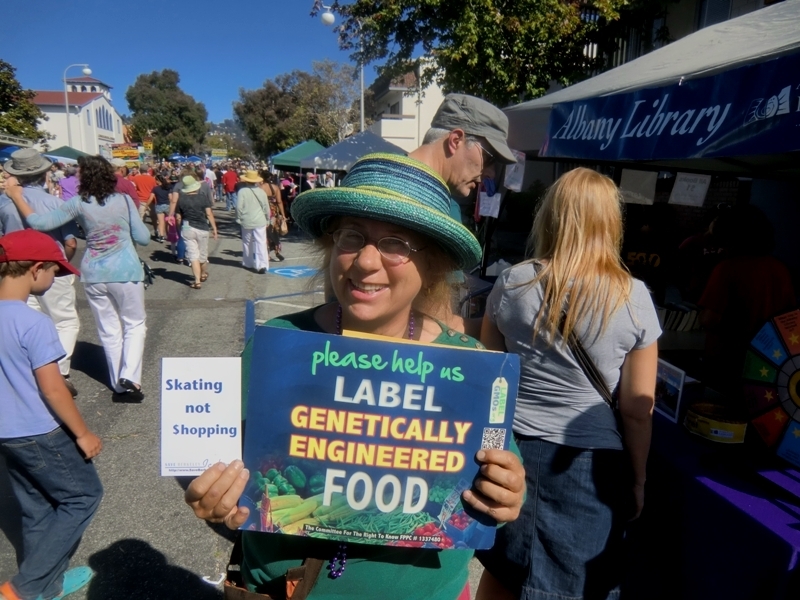 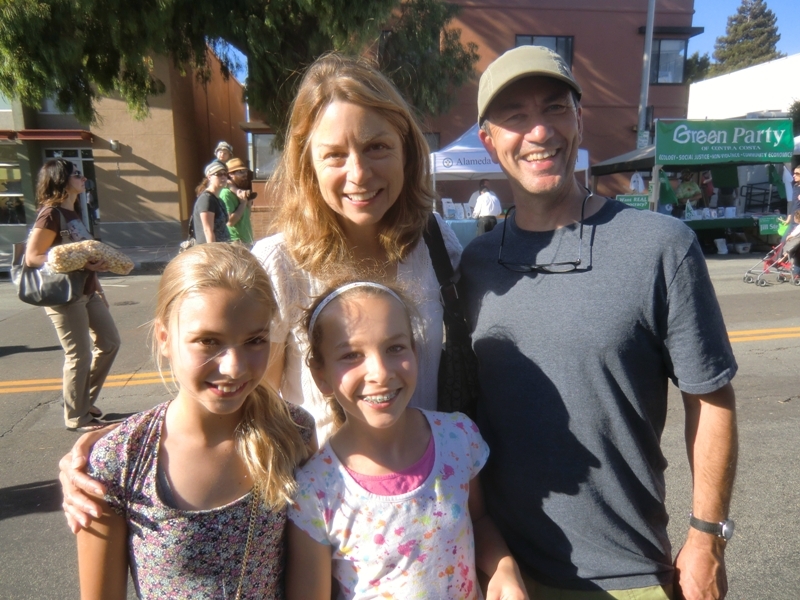 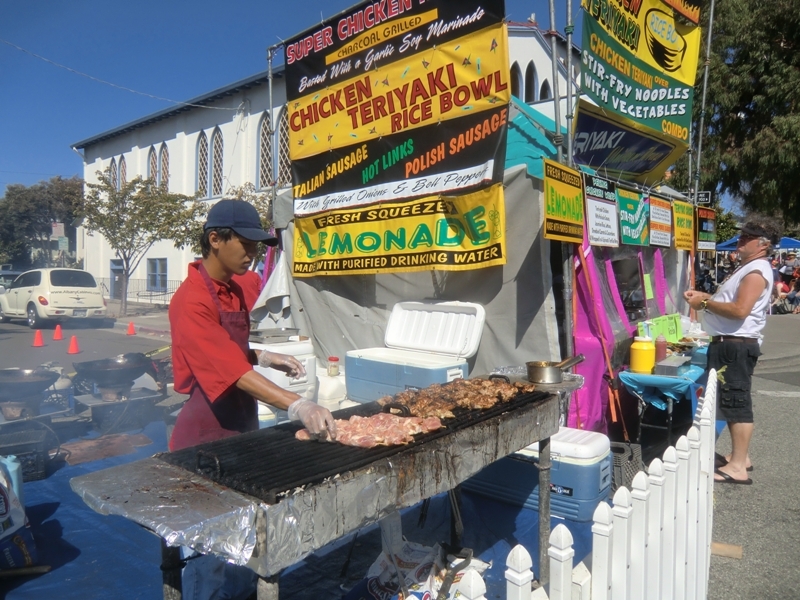 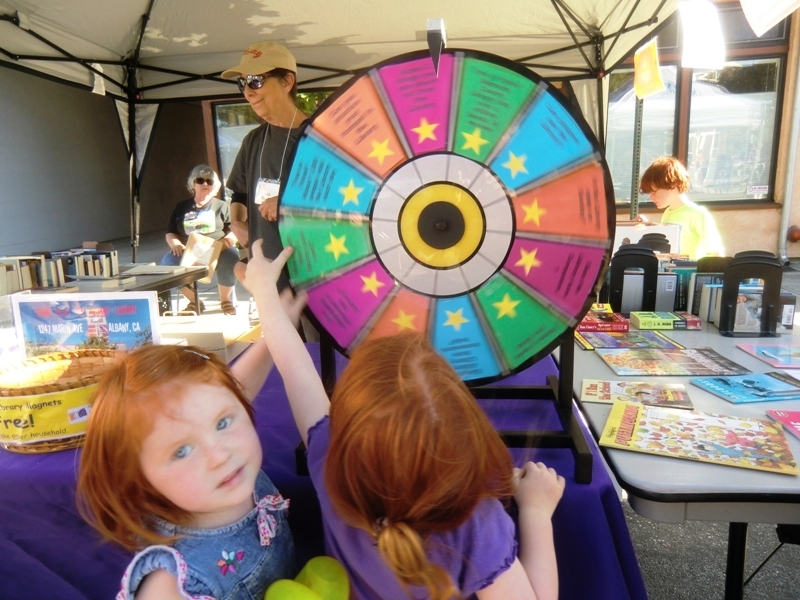 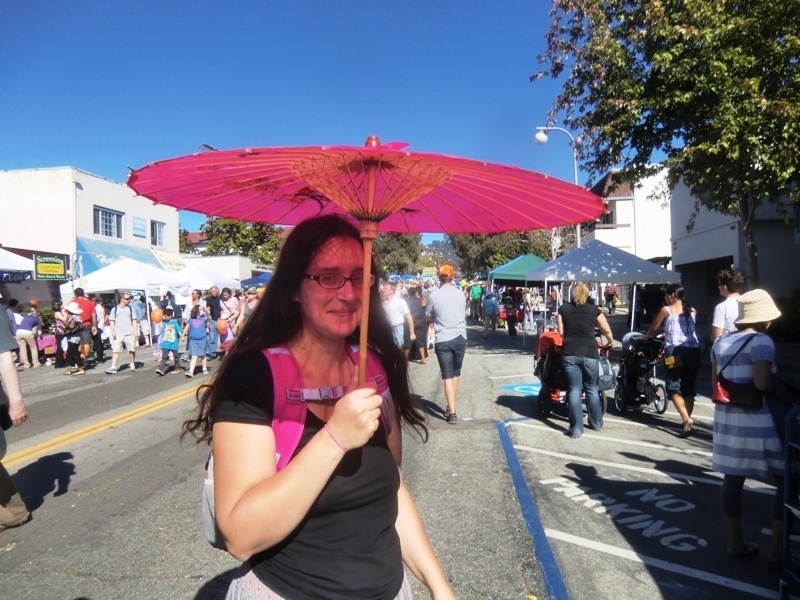 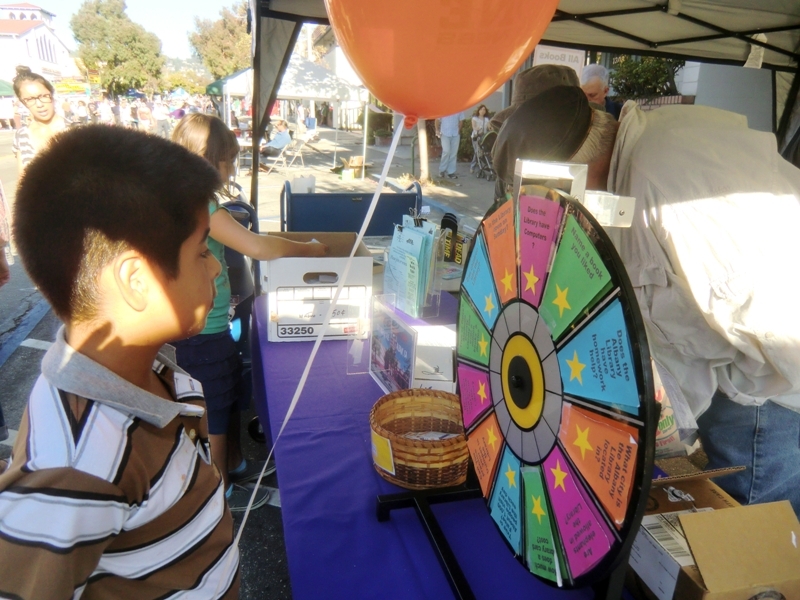 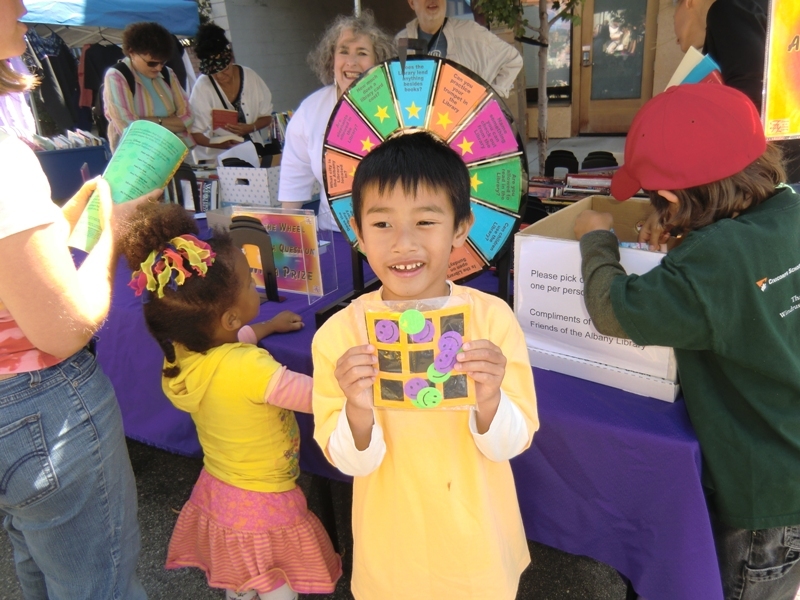 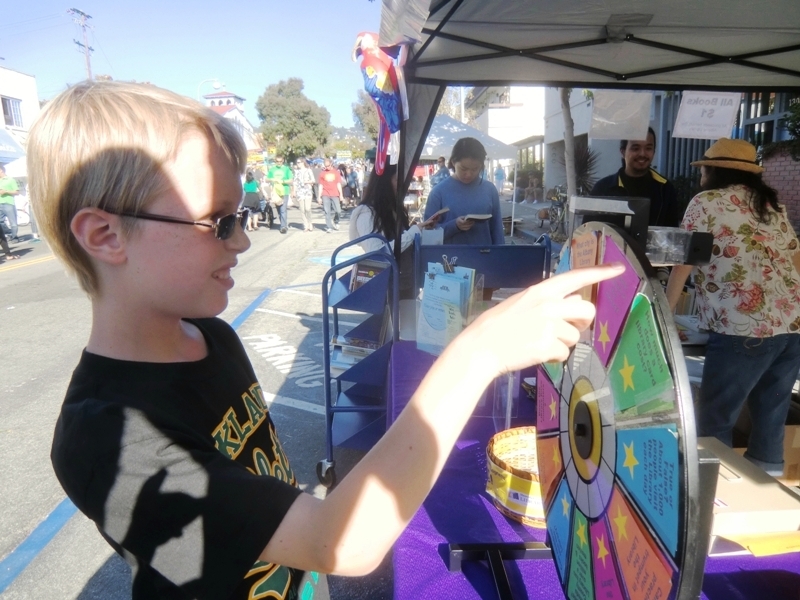 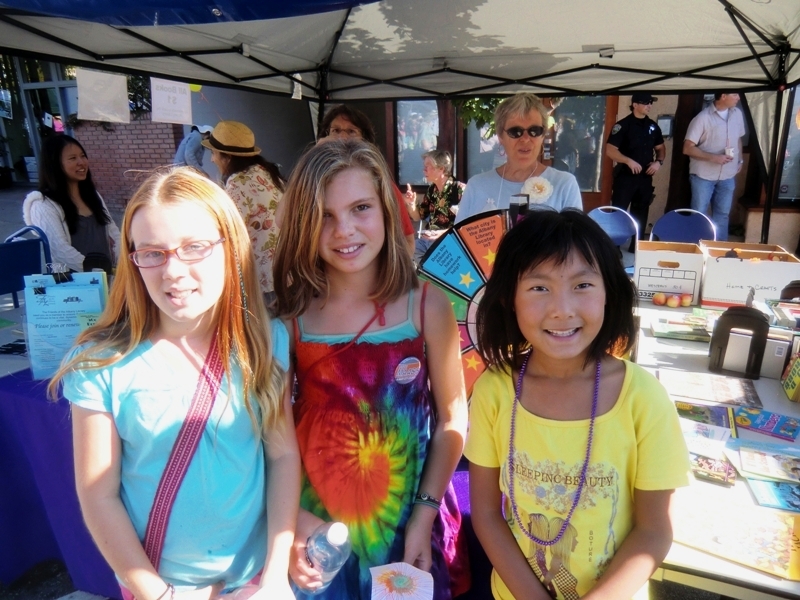 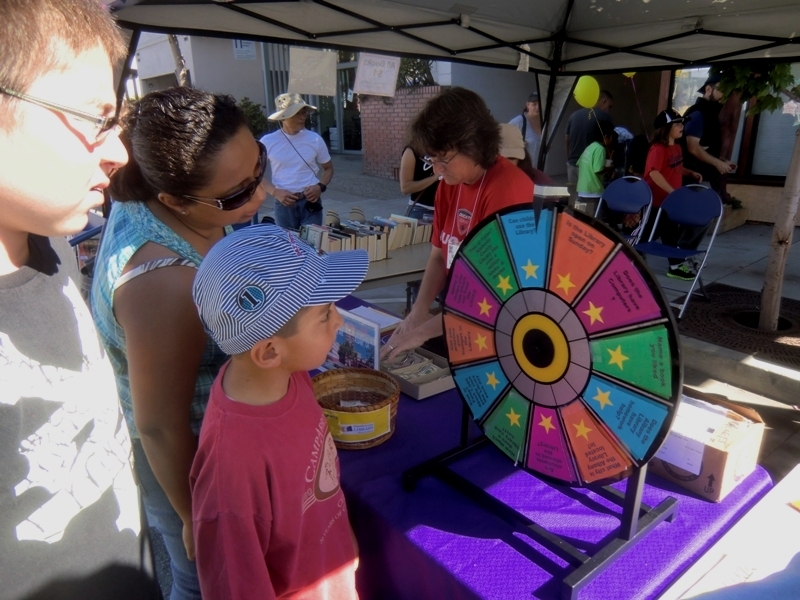 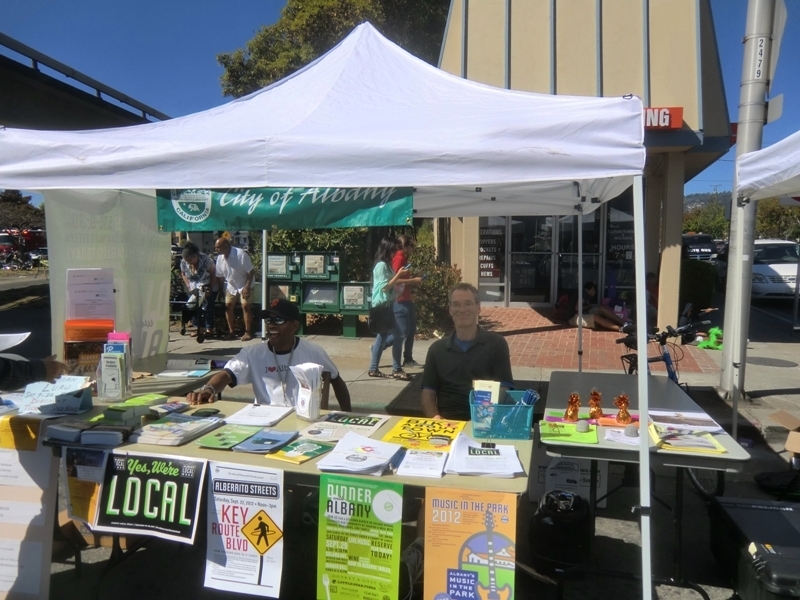 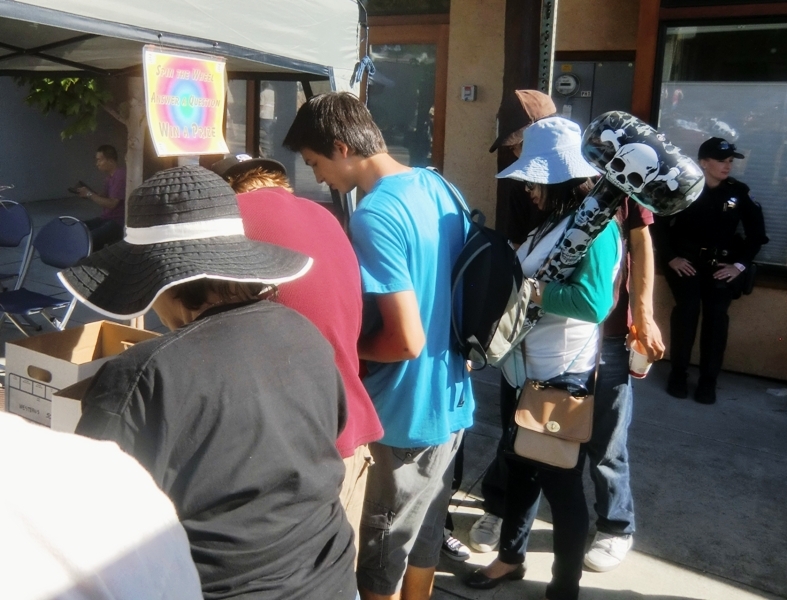 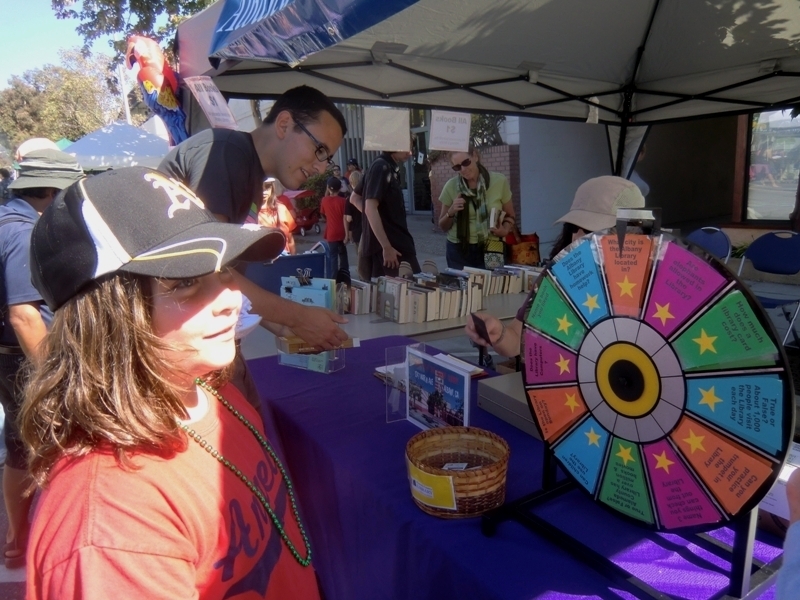 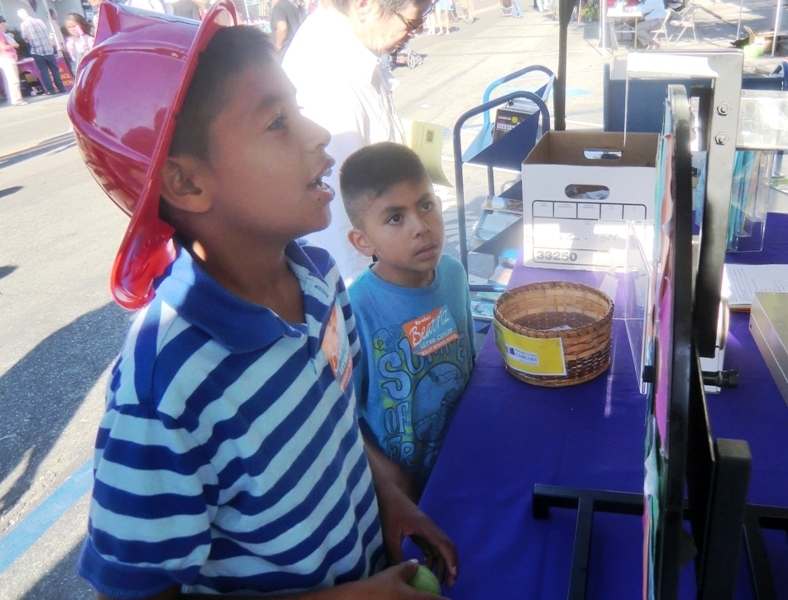 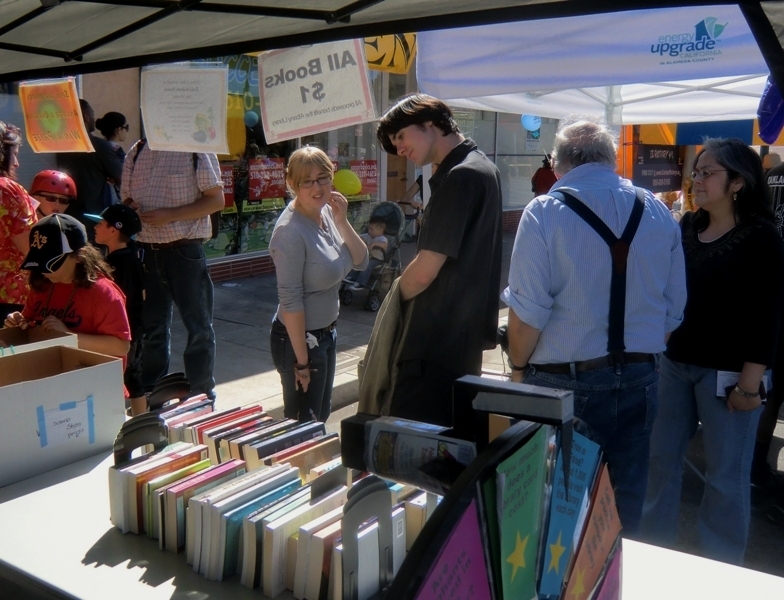 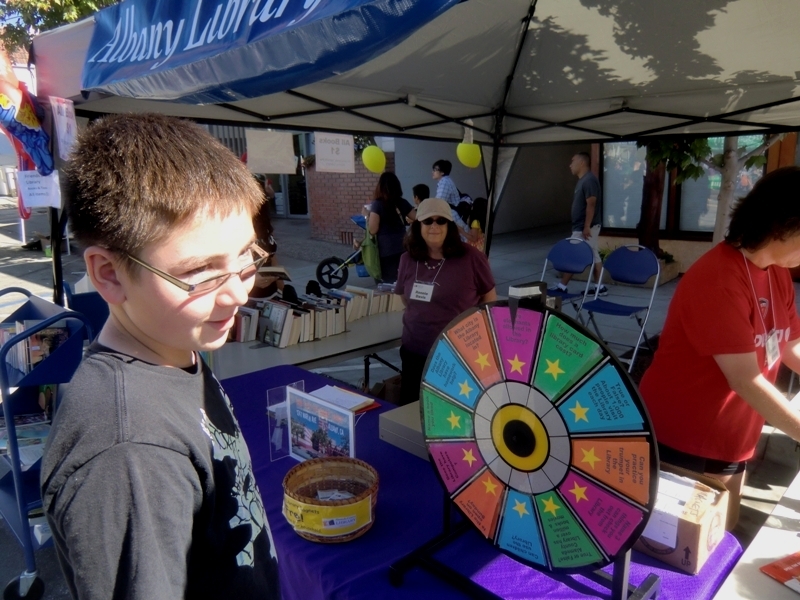 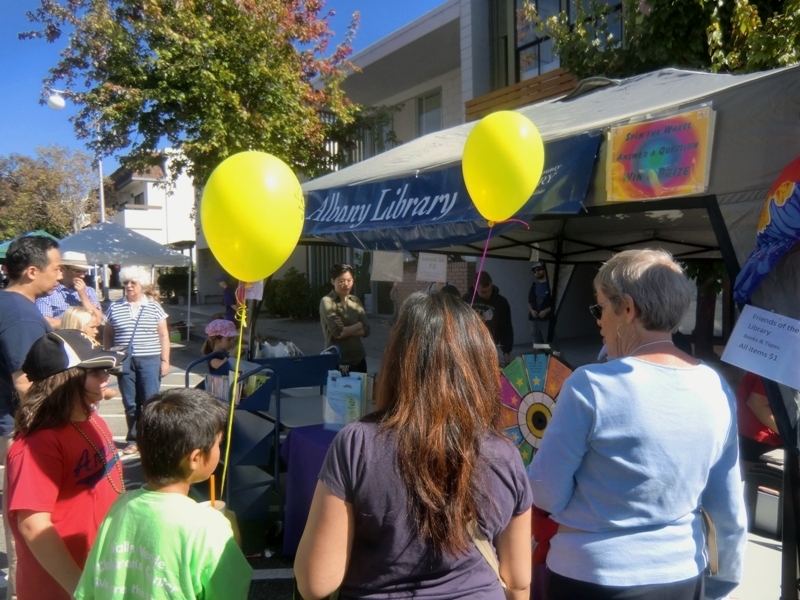 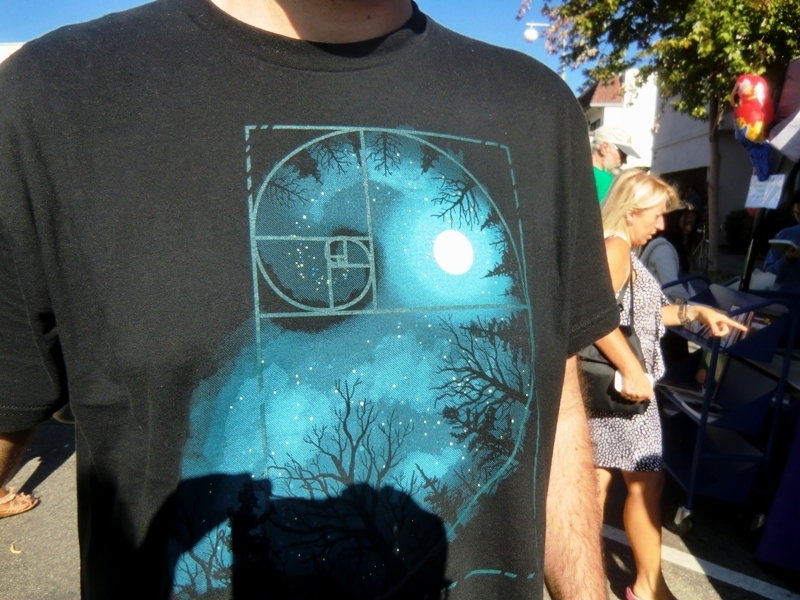 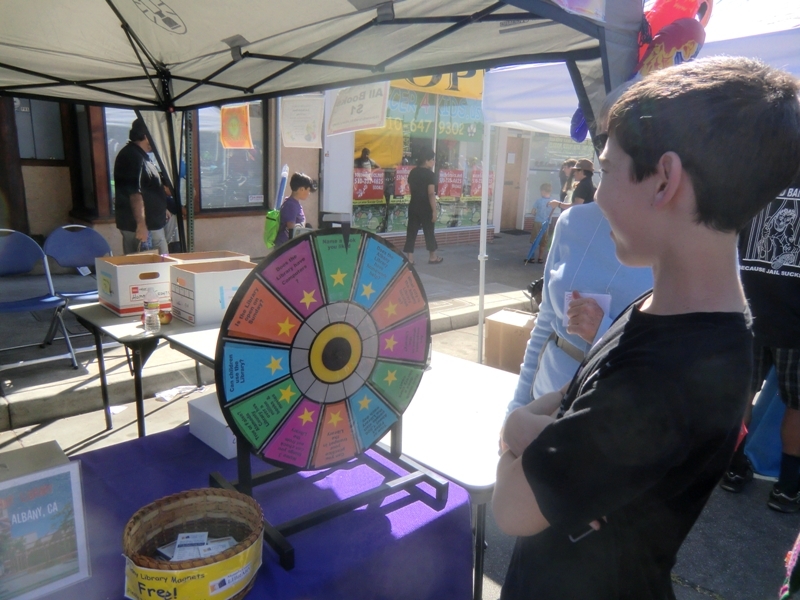 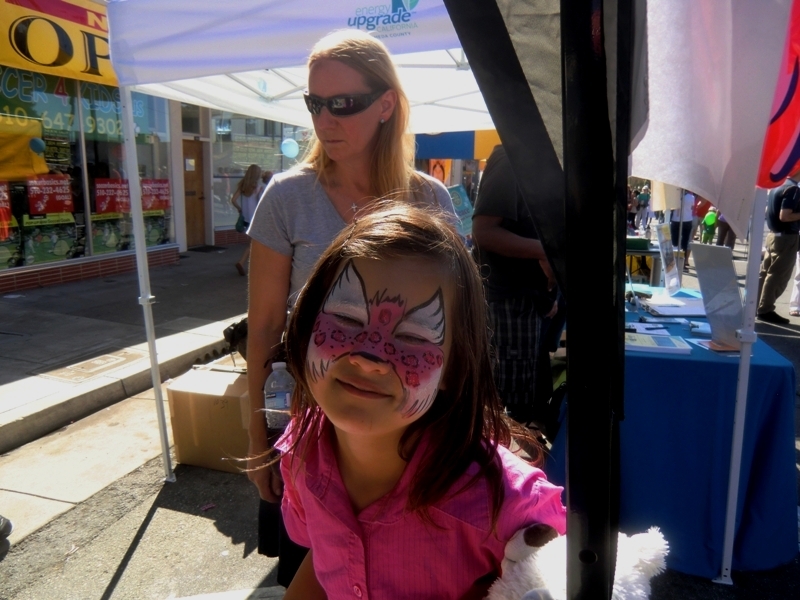 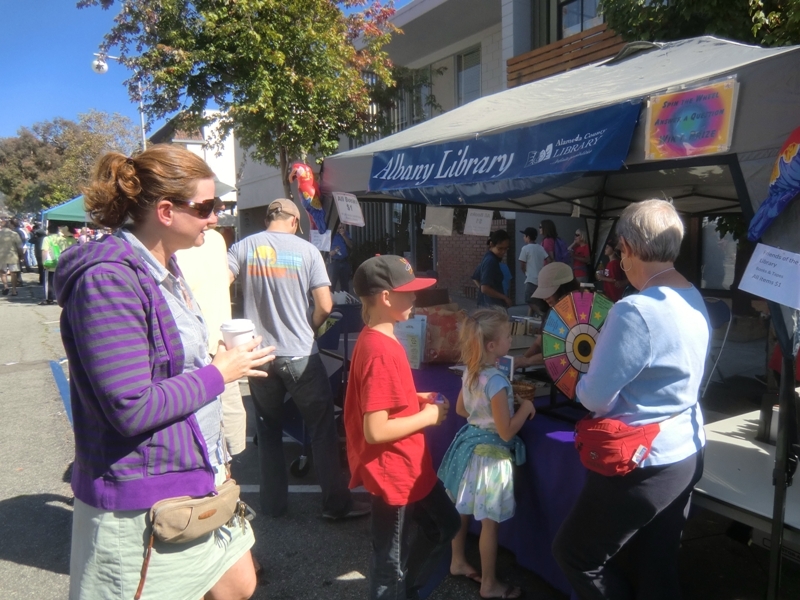 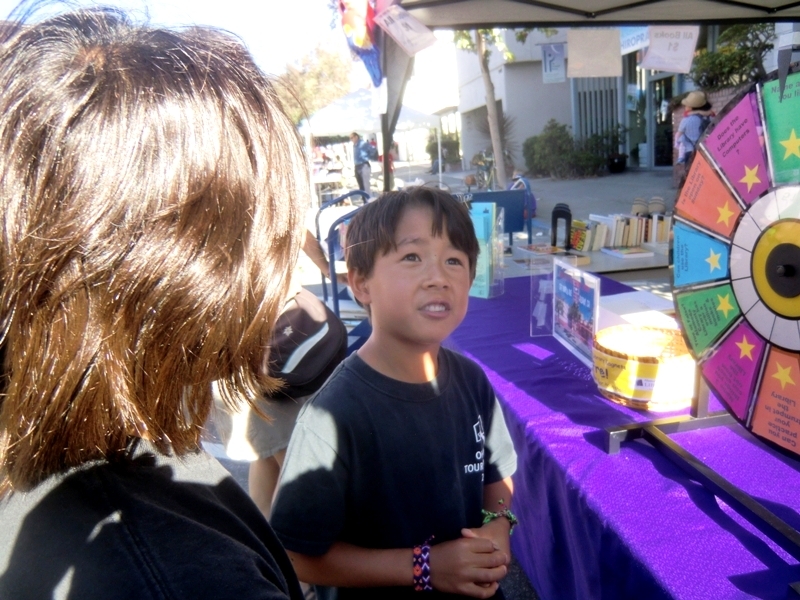 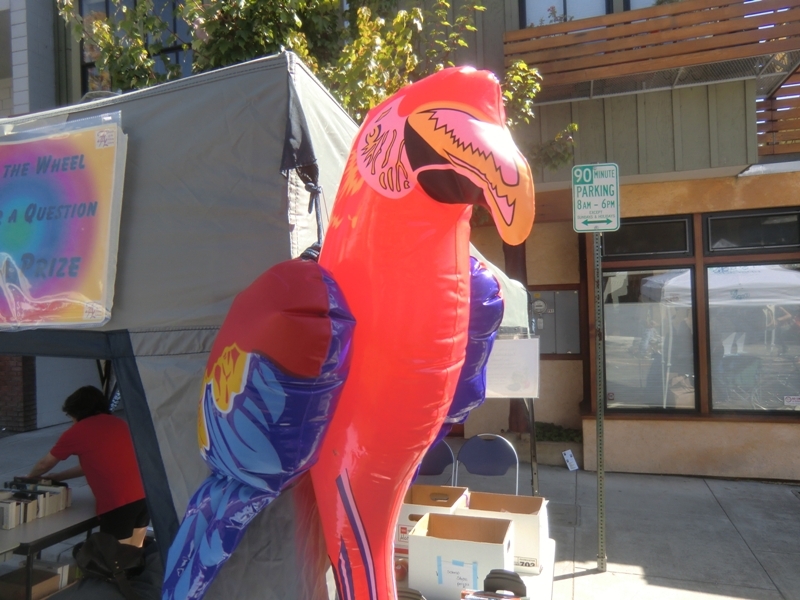 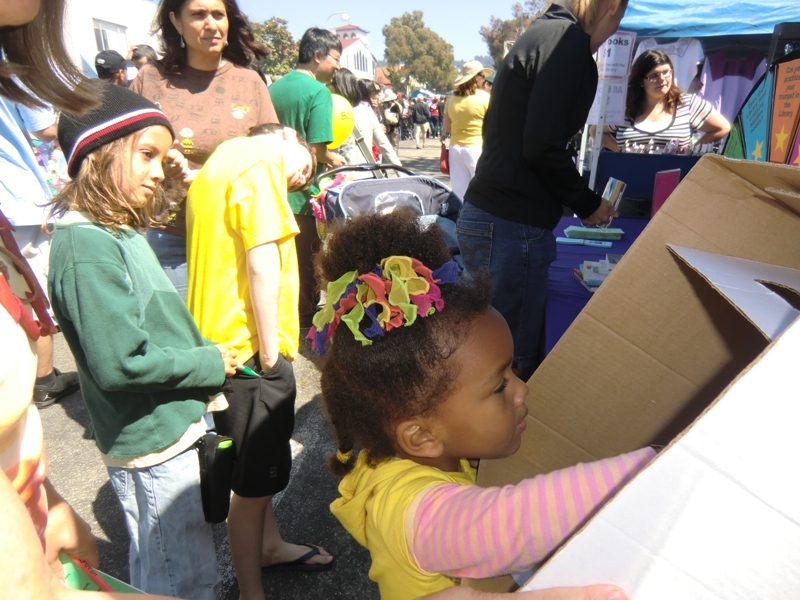 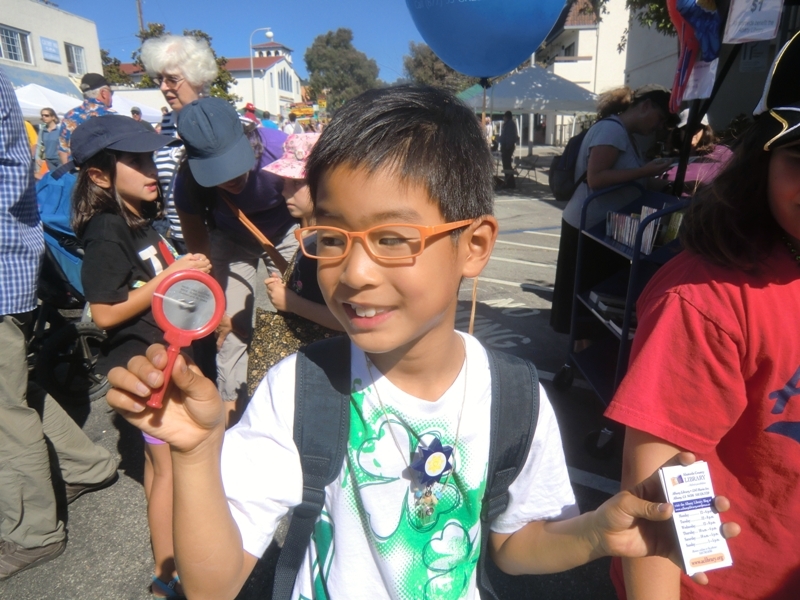 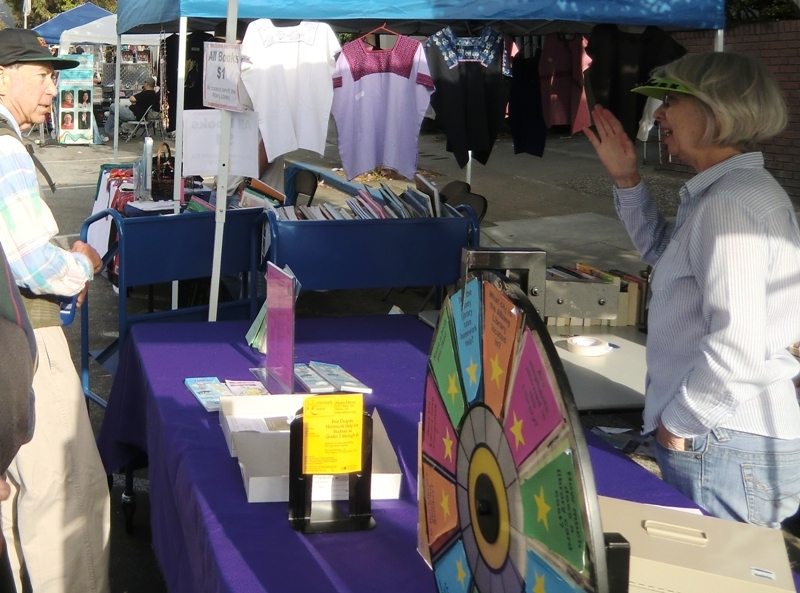 The crowds at the 2012 Solano Stroll enjoyed blue sky and warm weather. 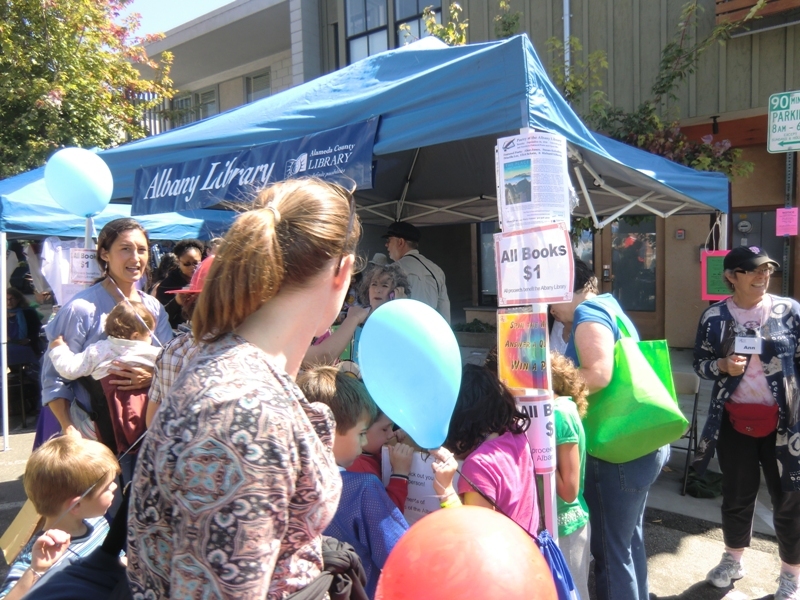 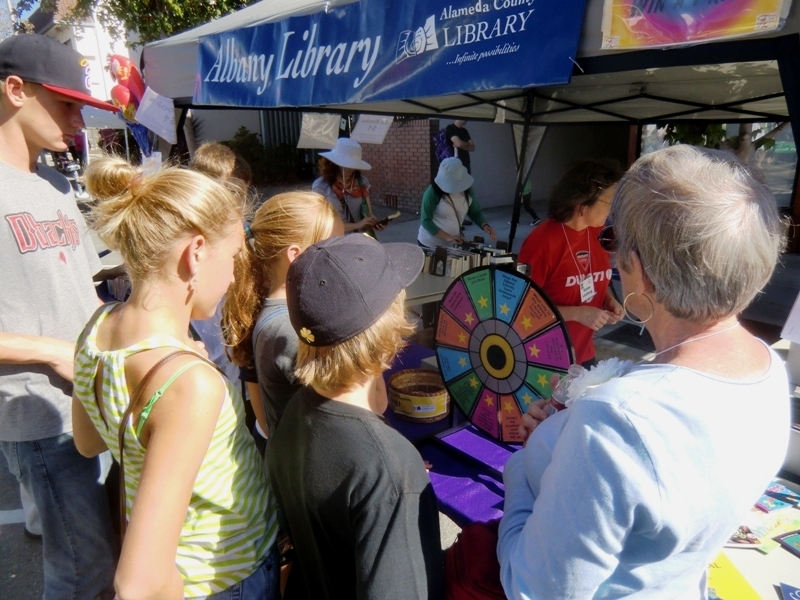 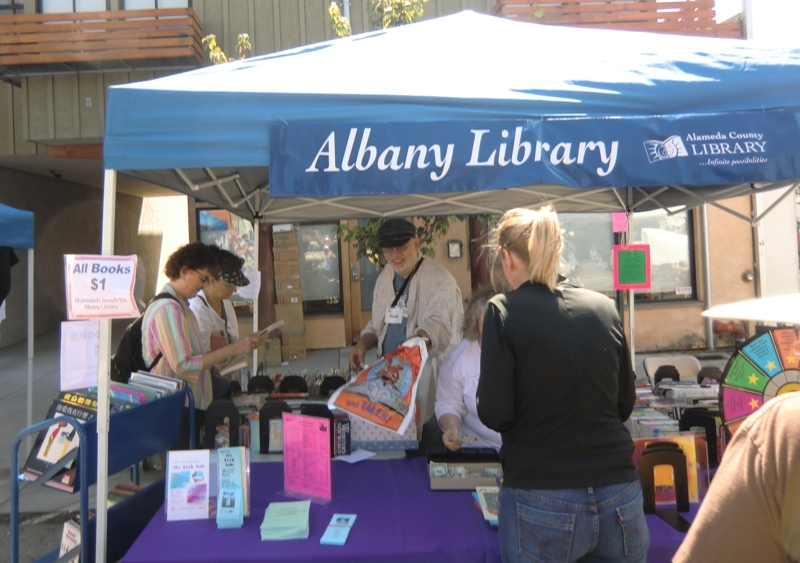 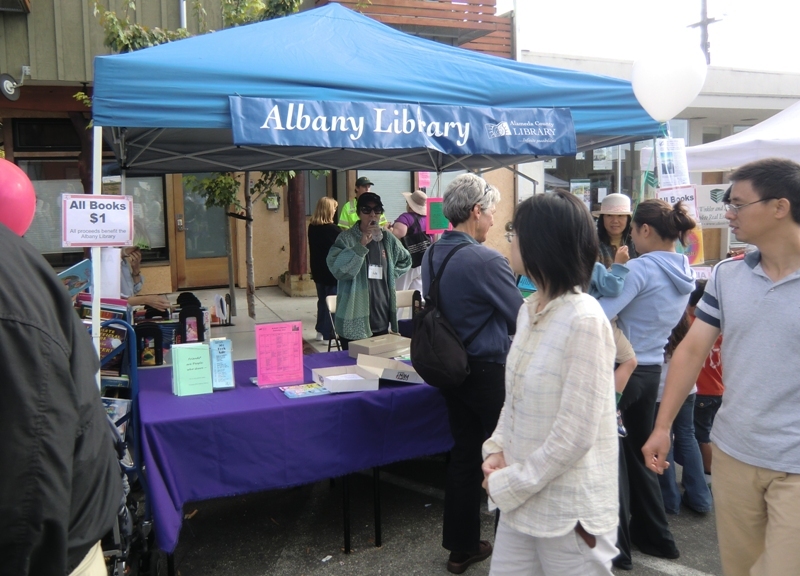 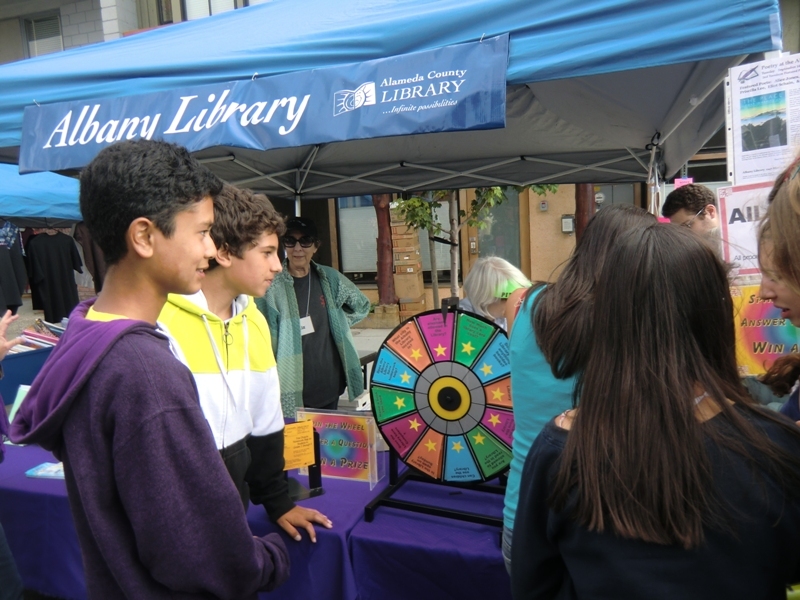 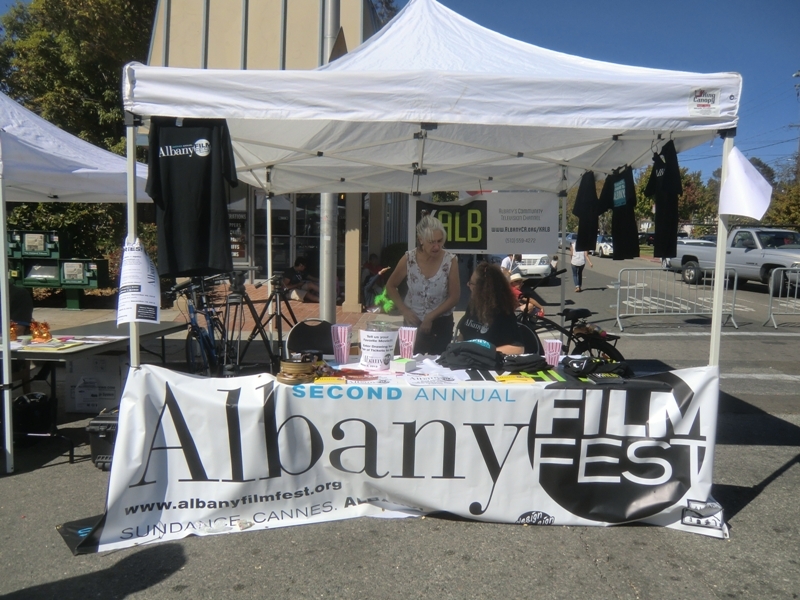 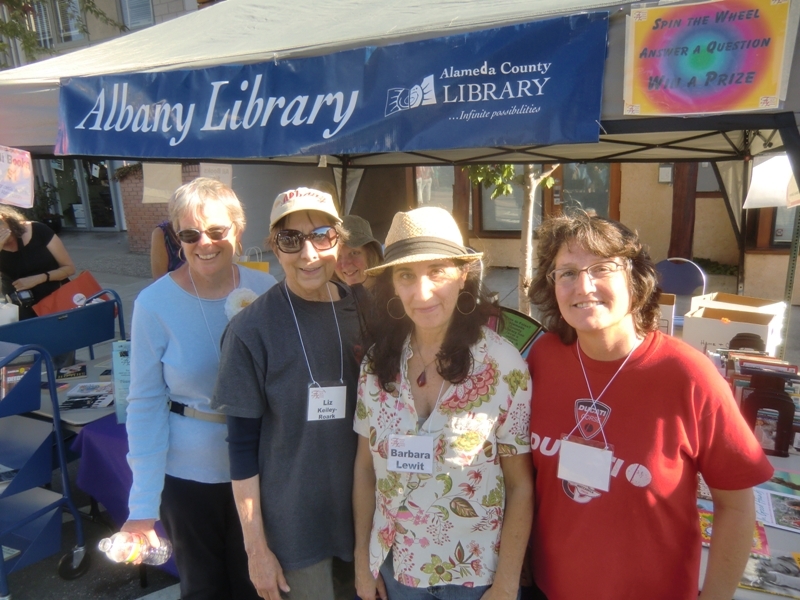 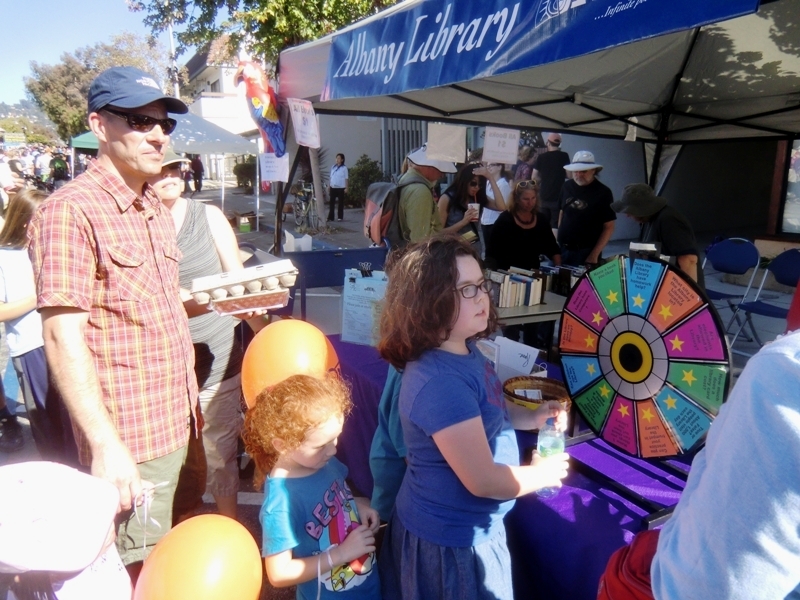 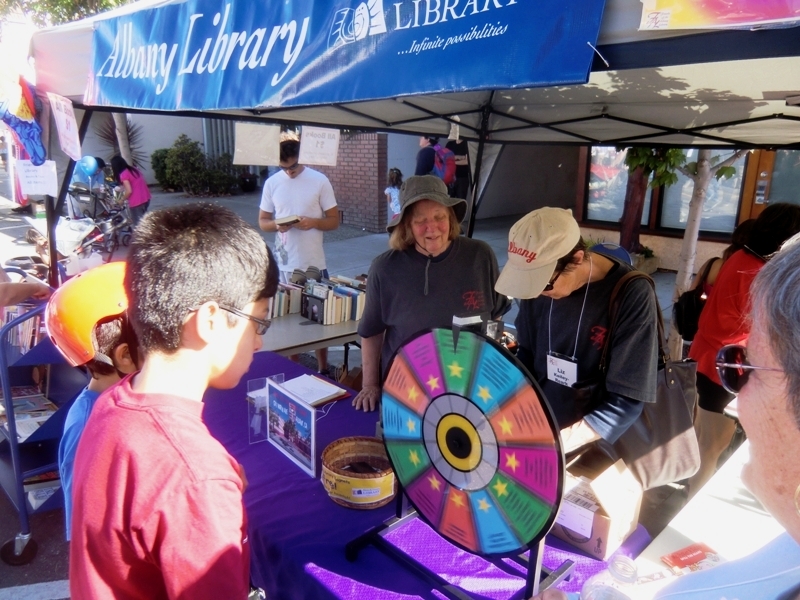 Hundreds of strollers stopped by the Albany Library booth staffed by Friends of the Albany Library and library staff. 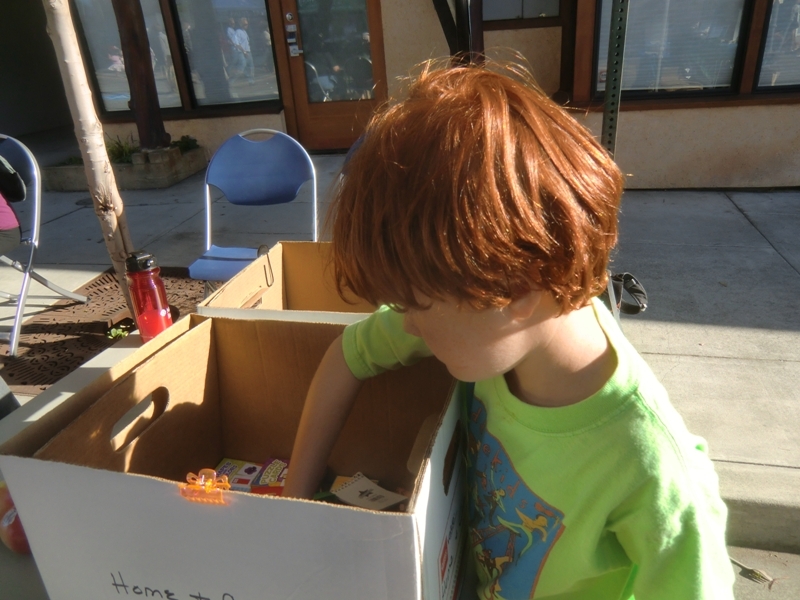 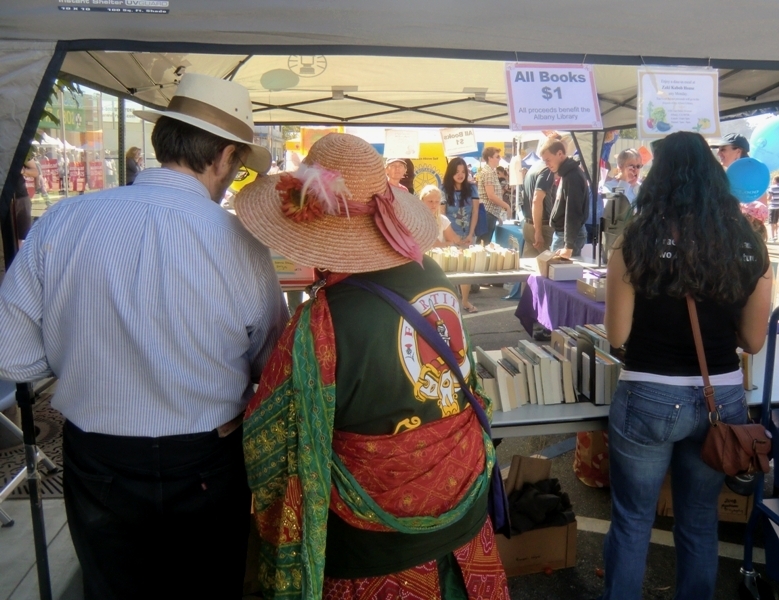 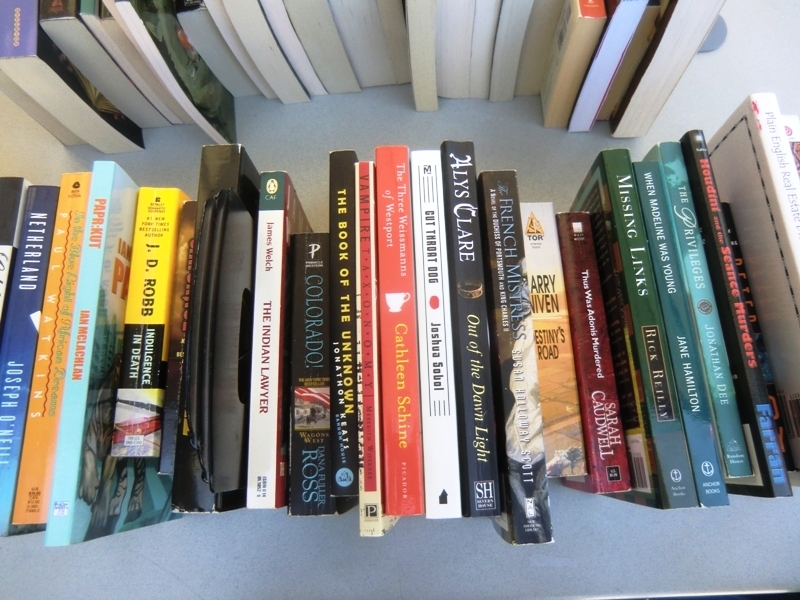 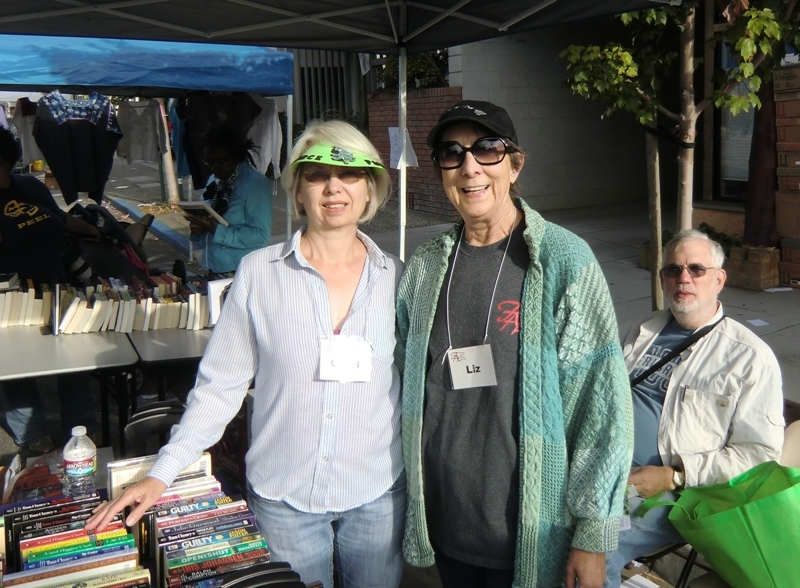 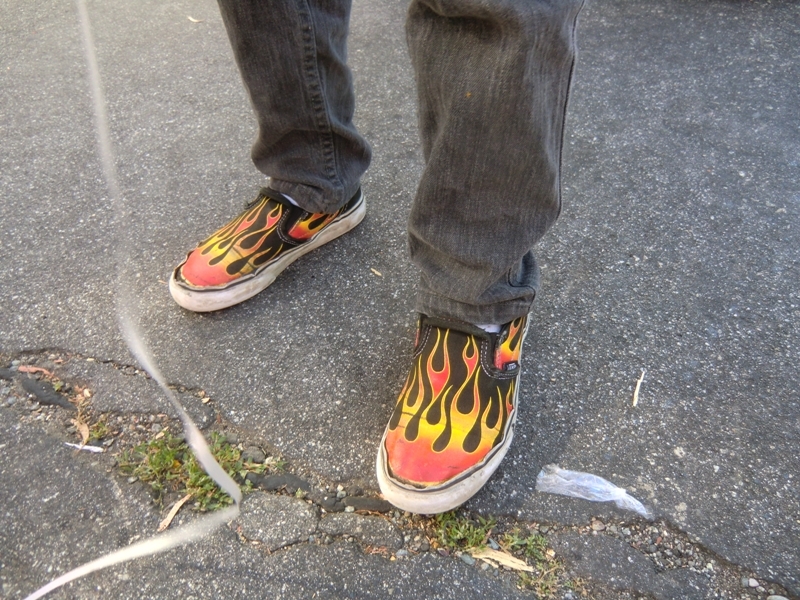 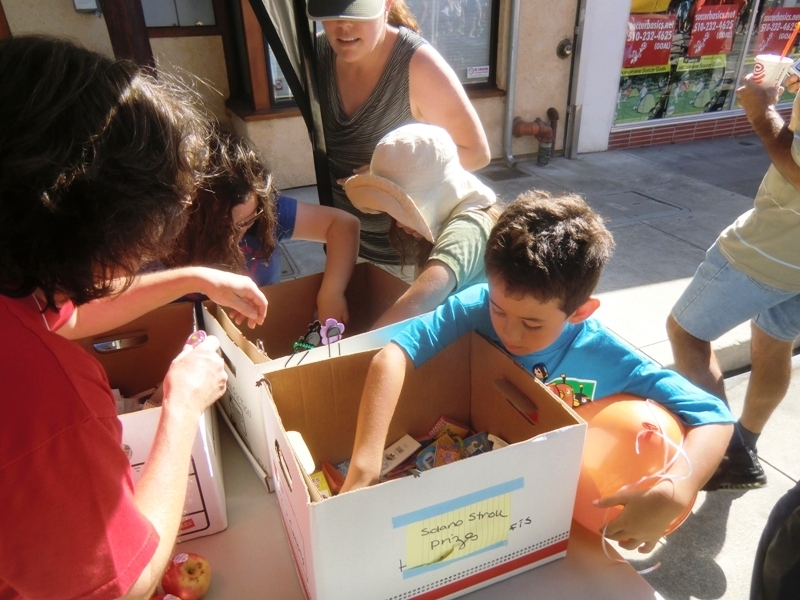 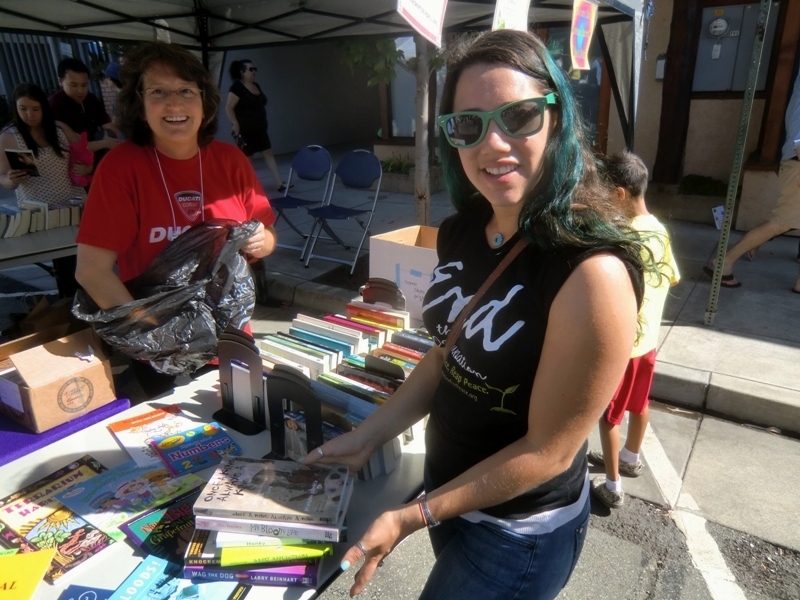 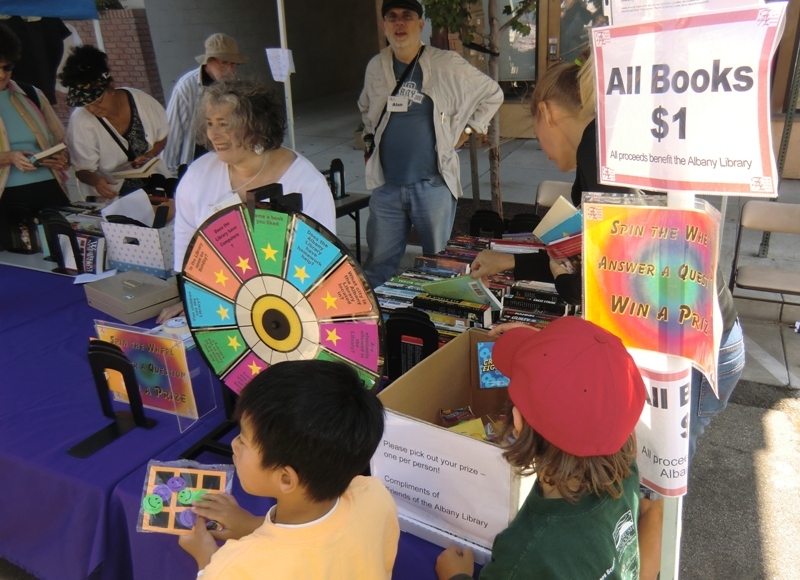 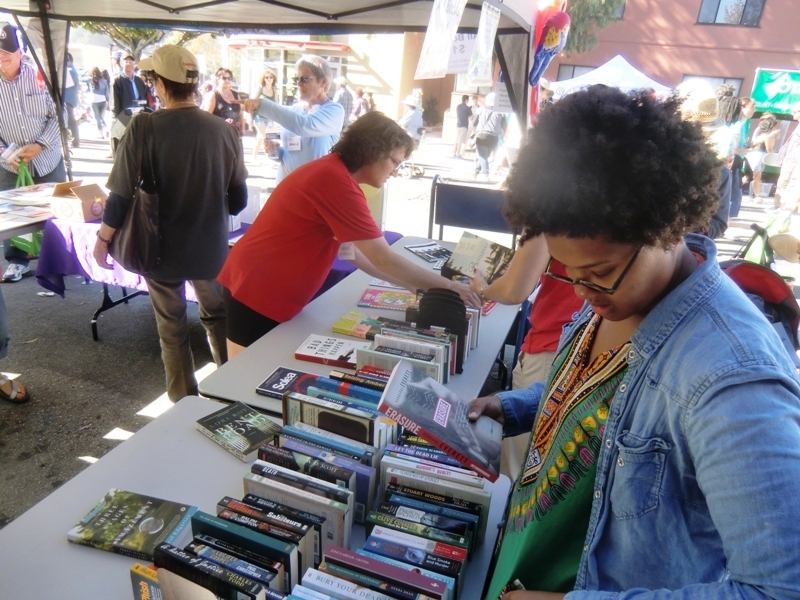 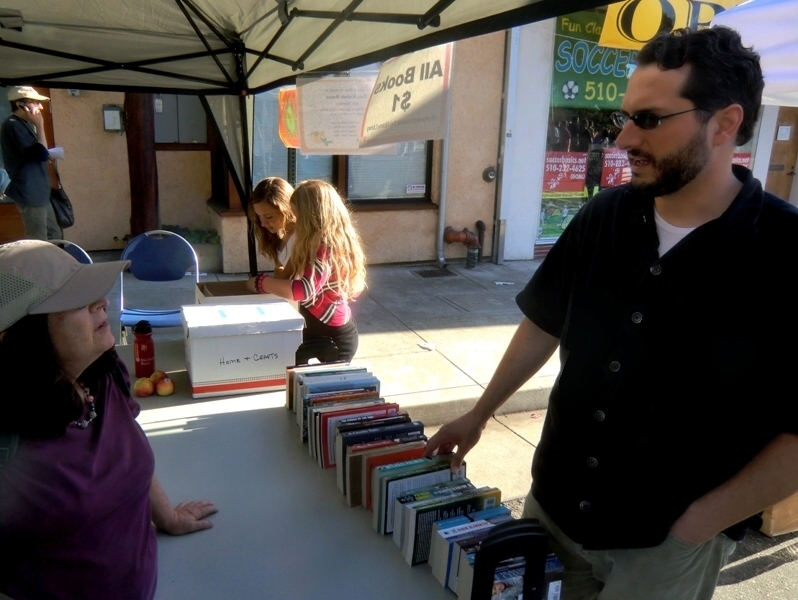 The Friends booksale netted a cool $739 in sales. 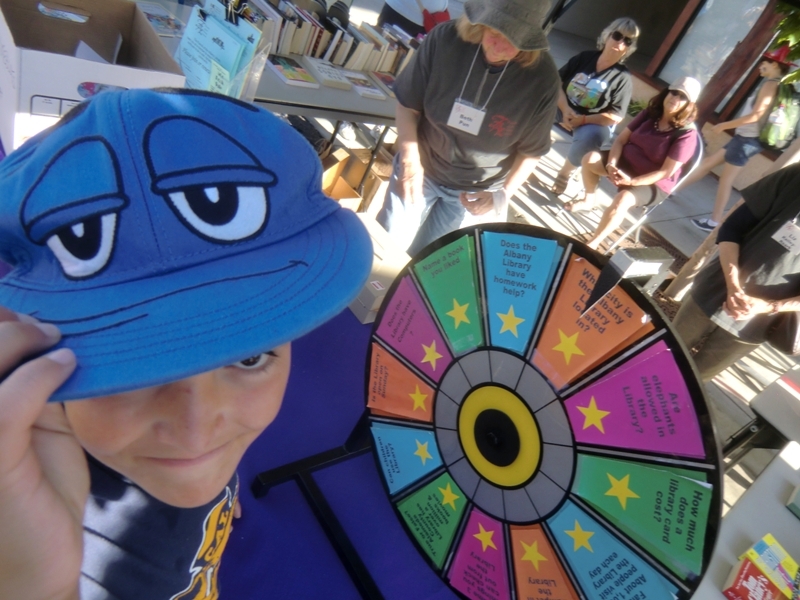 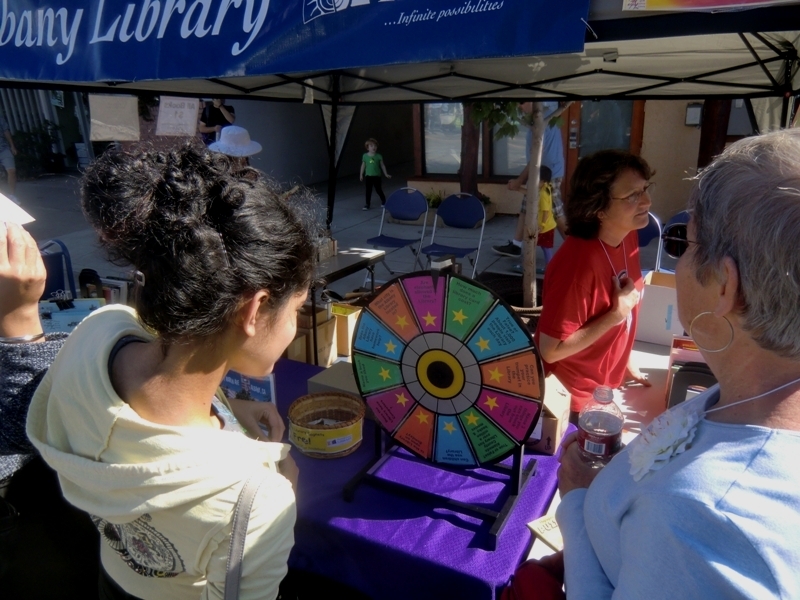 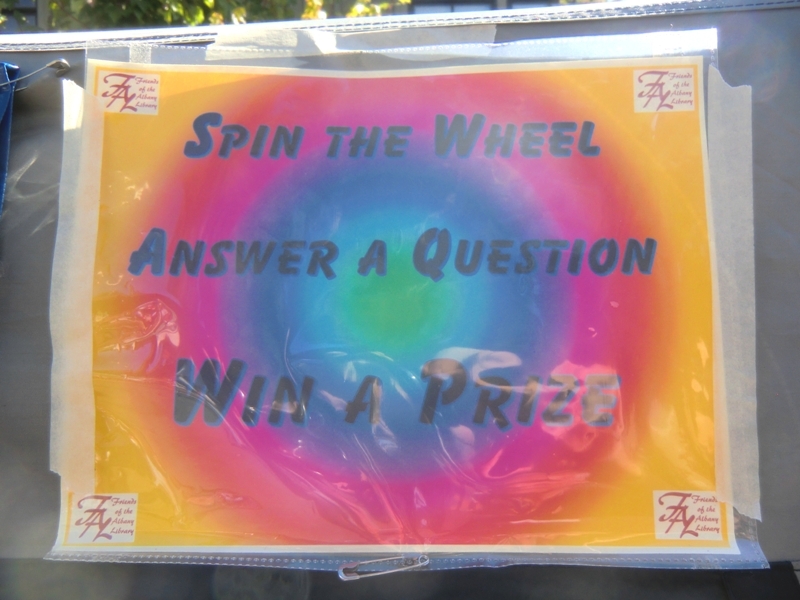 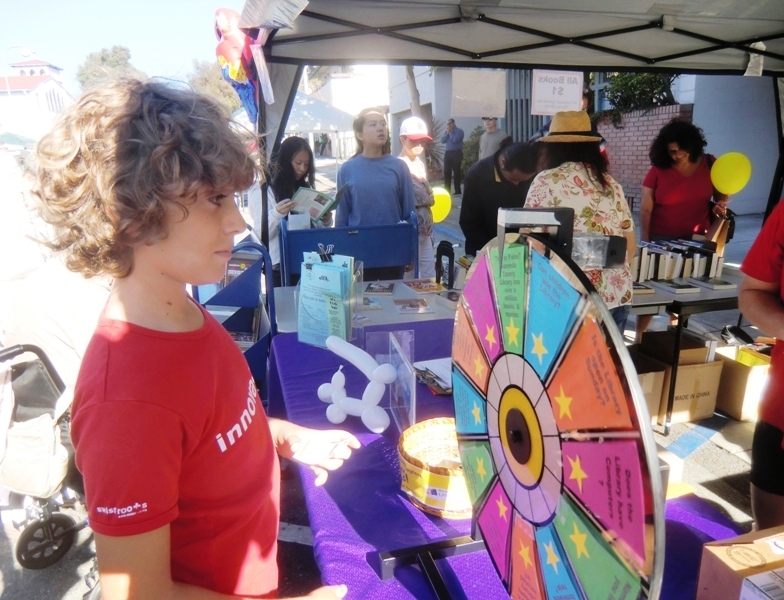 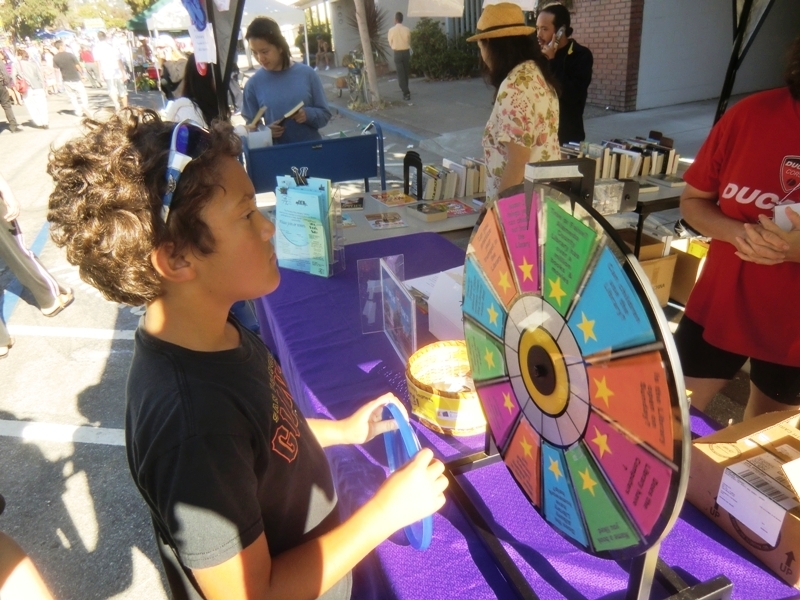 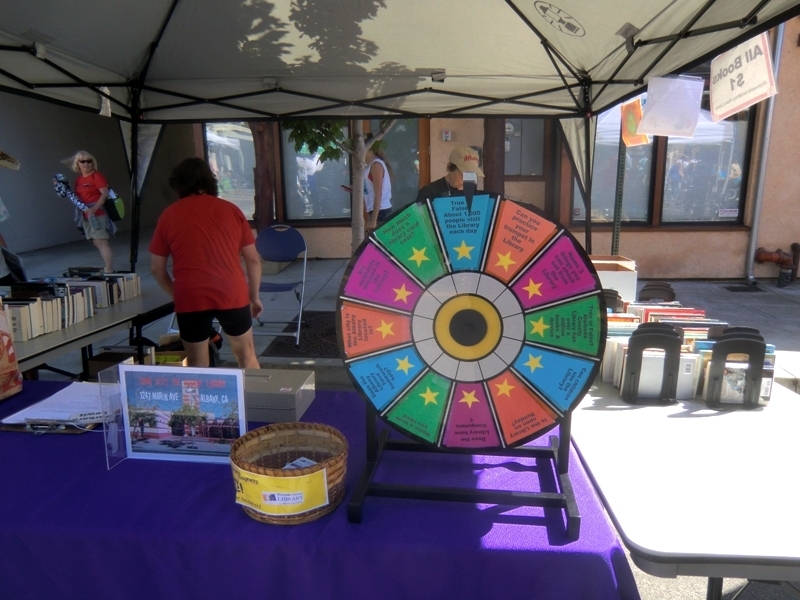 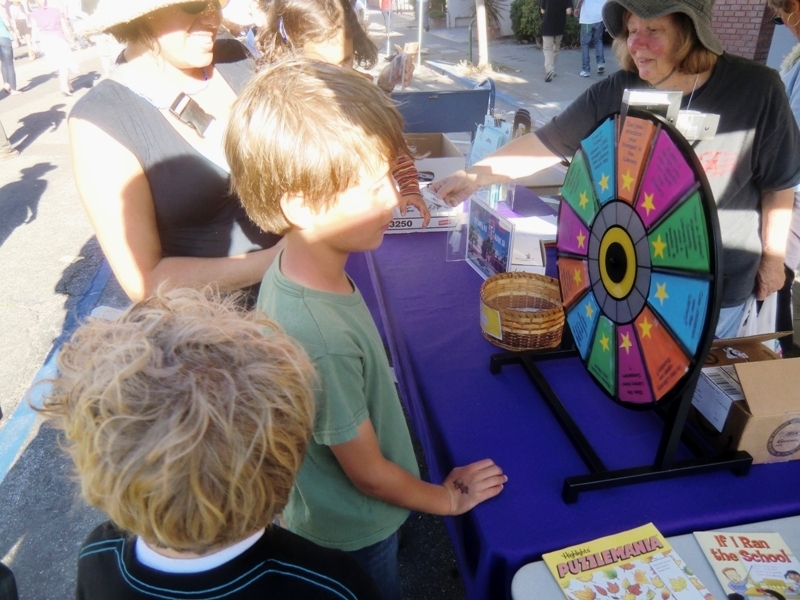 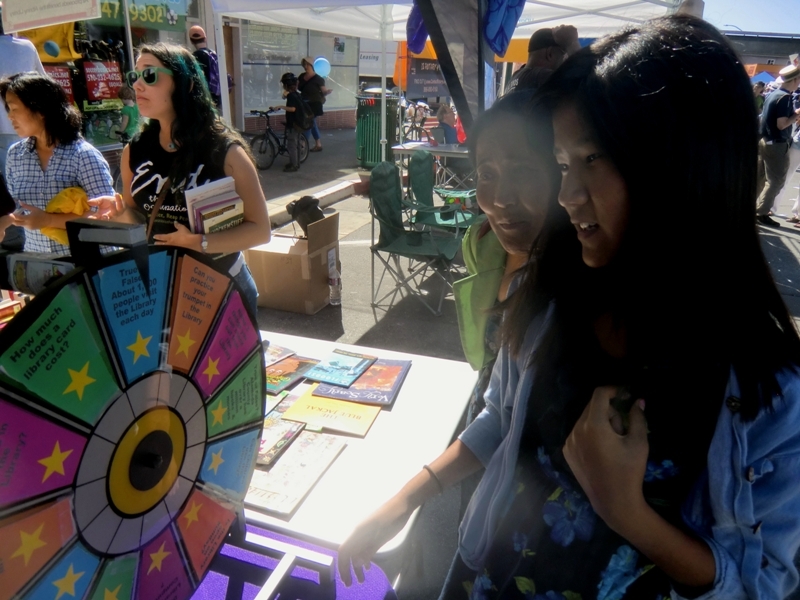 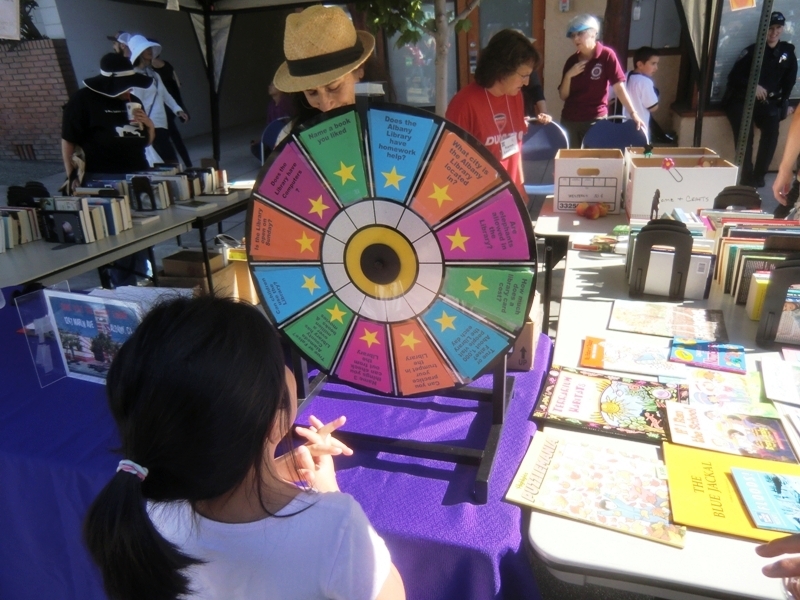 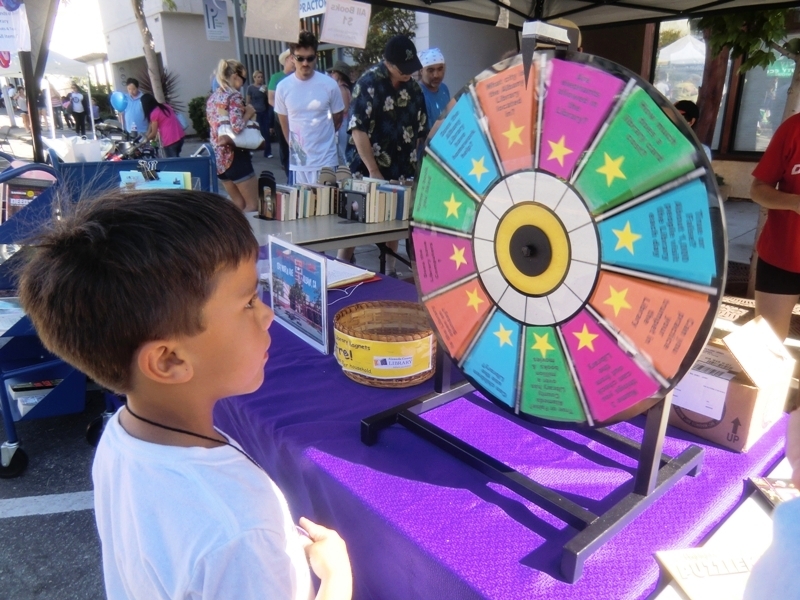 The brainiacs in the bunch answered the super-cerebral questions on our Spinner Game, walking off with awesome prizes. 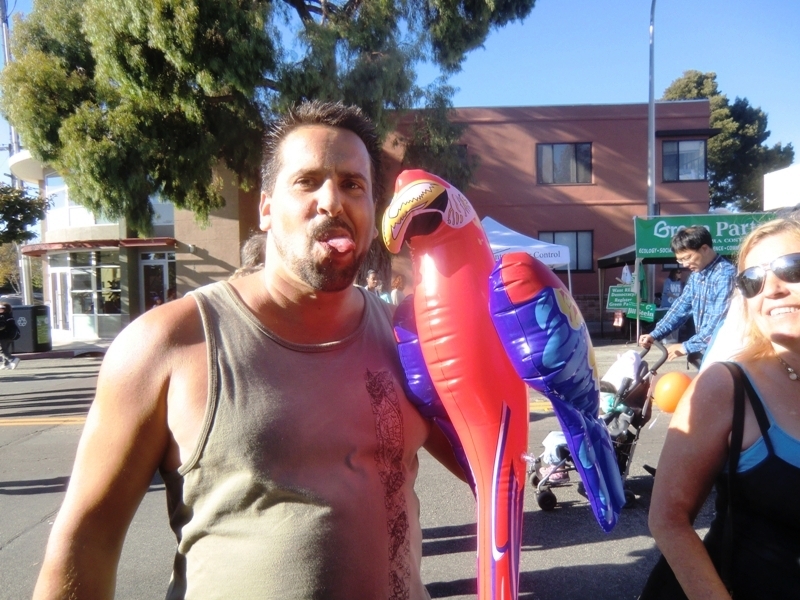 See the fun below on Youtube and our photo album! 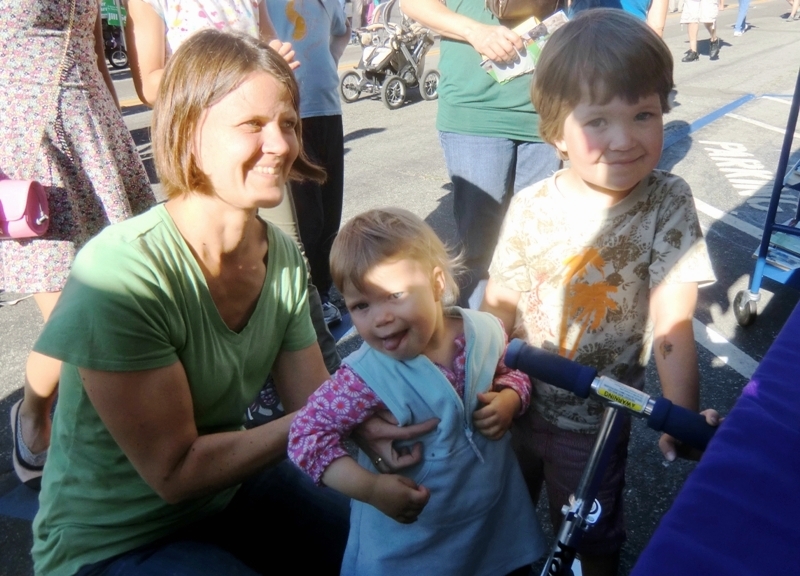 Caryl, Liz and Alan: Super Friends!